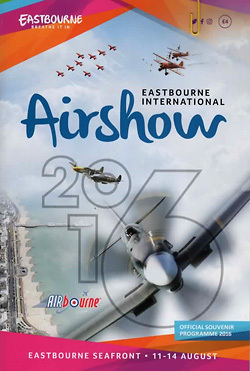 Airbourne, Eastbourne International Airshow is one of the best known seafront airshows and celebrated its 24th event in 2016. 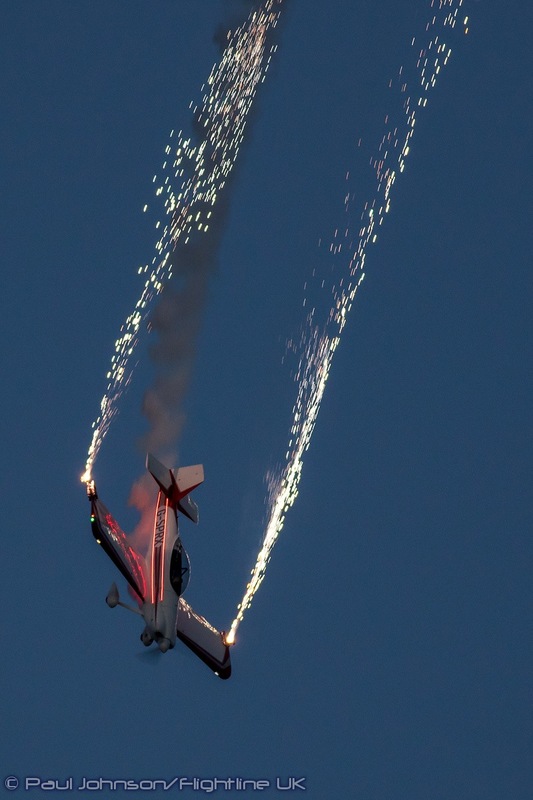 It is a four day festival running from Thursday through to Sunday evening culminating in a fireworks display finale. 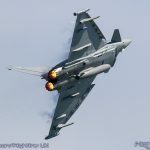 It remains a very international event too despite European military cutbacks with civilian participants from Belgium, the Netherlands and Norway joining those from the UK. 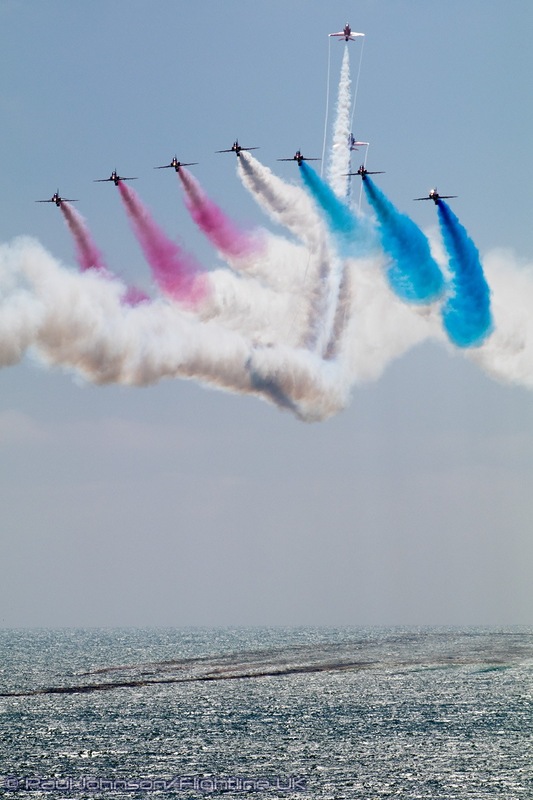 The summer holiday season sees a number of seaside displays of all sizes take place along the south coast of England. 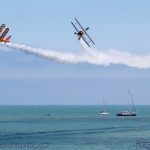 Many of these events are run by local councils providing a valuable boost to the tourism trade in their respective towns. 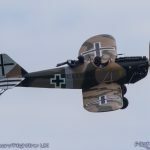 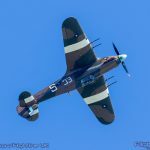 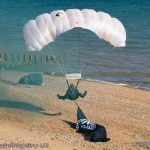 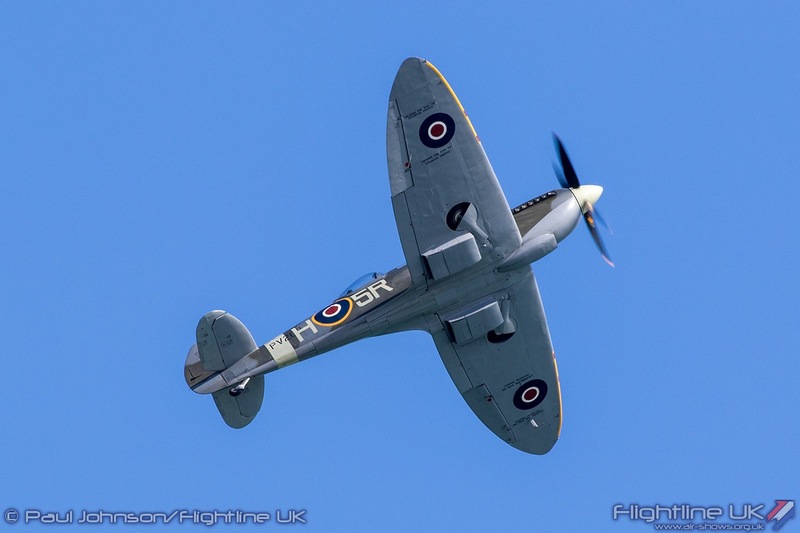 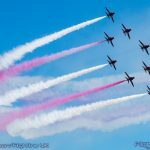 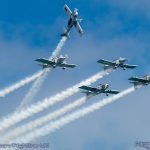 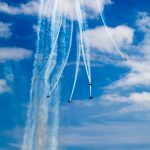 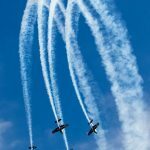 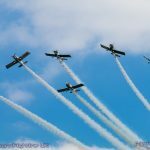 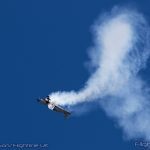 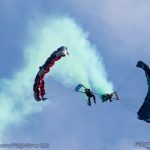 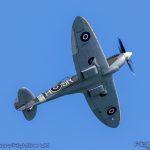 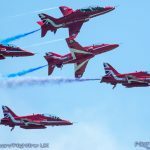 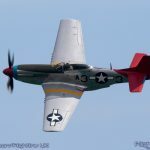 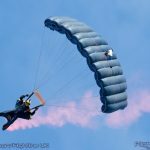 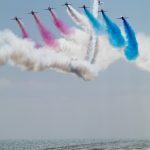 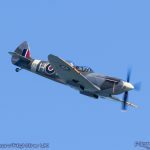 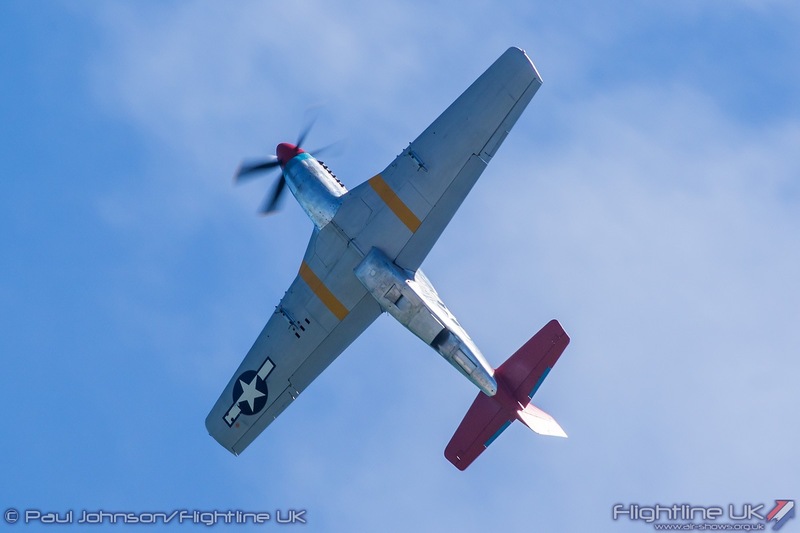 Eastbourne’s four day Airbourne event is one of the most well established and attracts crowds from all around the UK and Europe. 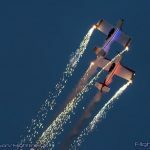 It has become more than just an airshow and now features live music on the town’s beach in the evenings on top of the usual trading areas. 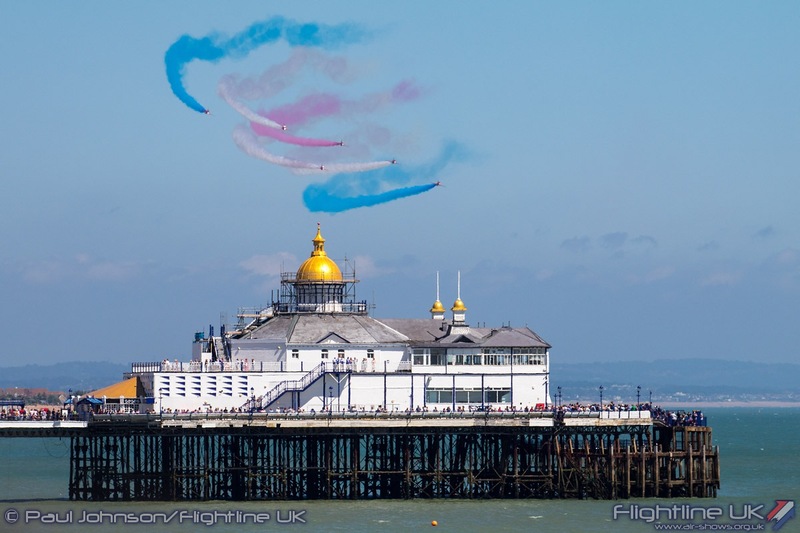 Eastbourne has a very good relationship with the Royal Air Force and that shows in the flying programme. 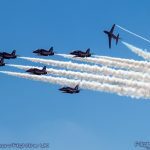 The Red Arrows busy season that meant there were only able to attend on two days, namely the Friday and Saturday. 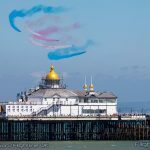 Eastbourne is one of the great locations to watch a Red Arrows display as the scoot around the Downs during their repositioning manoeuvres. 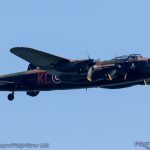 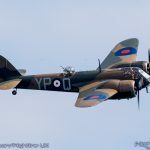 The Battle of Britain Memorial Flight appeared on all four days and were back up to full strength with the return of the Avro Lancaster B1 PA474 alongside the Spitfire and Hurricane. 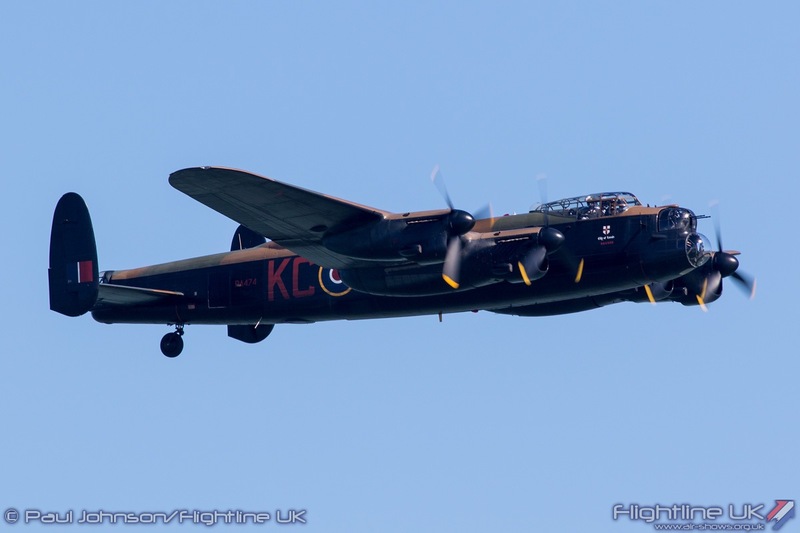 The last time the Lancaster attended Eastbourne in 2014, it was only alone as that was the year of the Canadian Lancaster Tour! 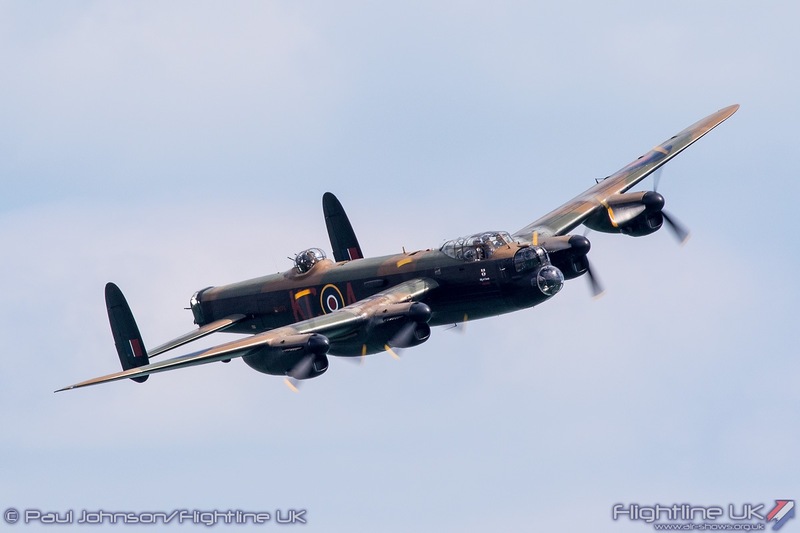 It is however wonderful to see the ‘Lanc’ back in the skies. 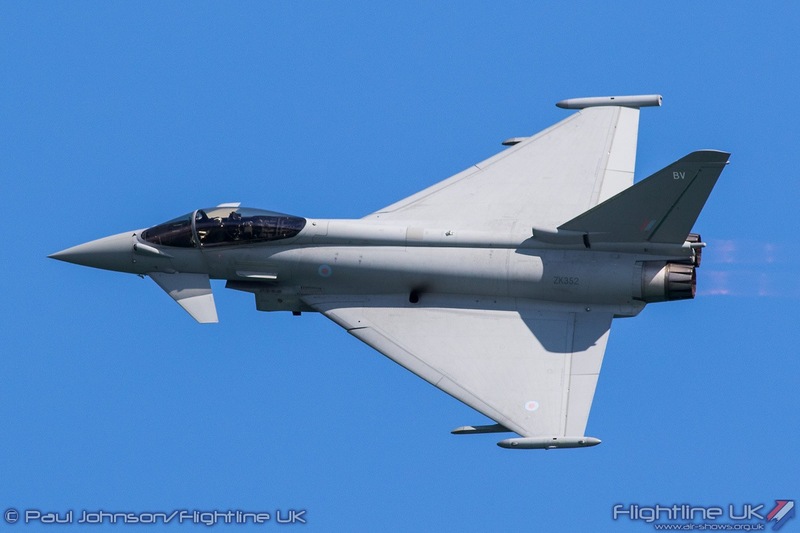 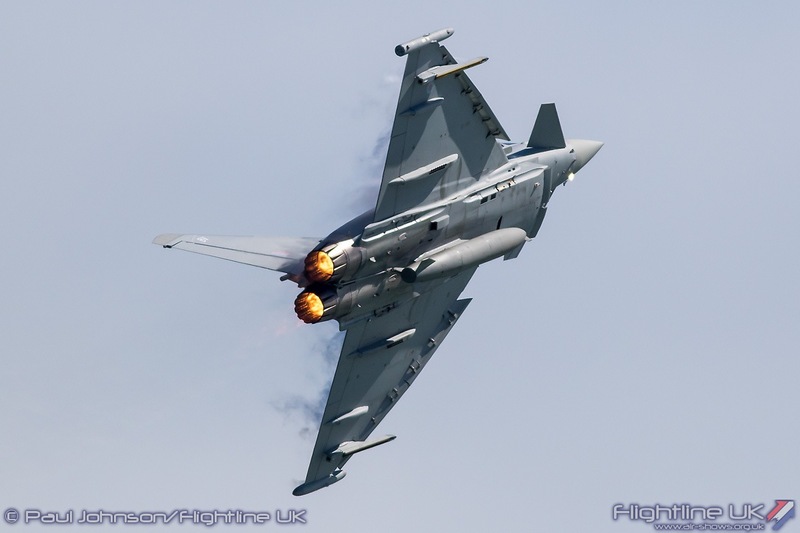 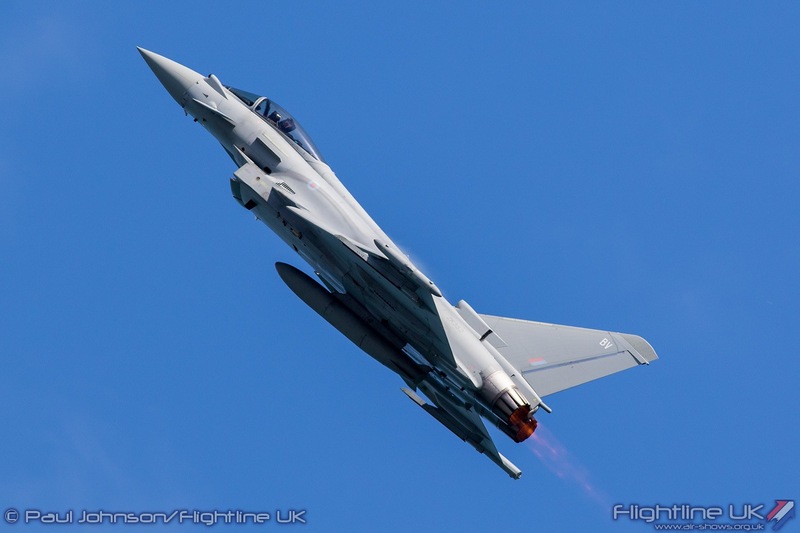 The only RAF solo to appear at Eastbourne was the Eurofighter Typhoon FGR4 flown by Flt Lt Mark Long. 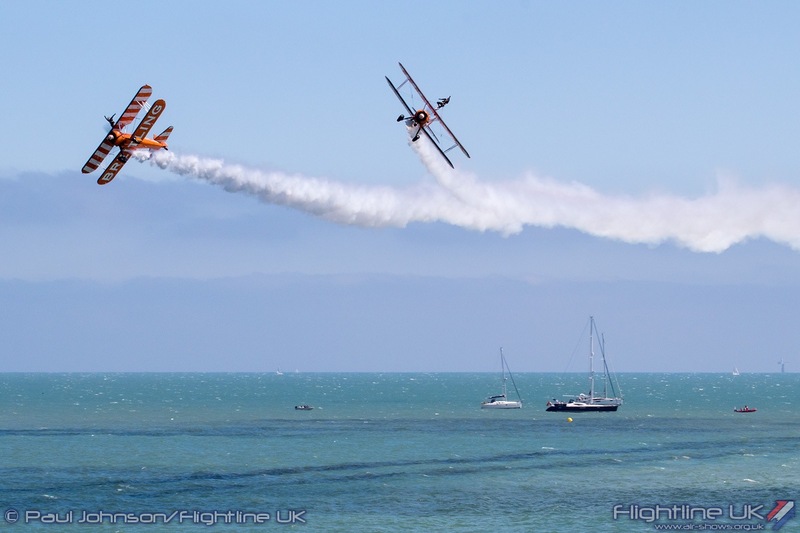 As ever, it was one of the real highlights at Eastbourne drawing attentions from the entire crowd throughout the 10 minute display routine. 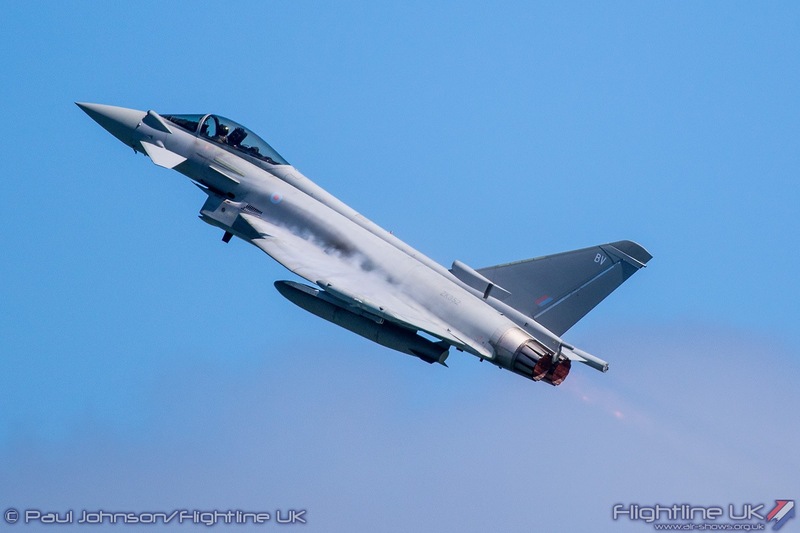 The Typhoon was the solo RAF solo routine as the Chinook display was withdrawn a week before Eastbourne from all its remaining display dates following fatigue-life issues detected following previous displays. 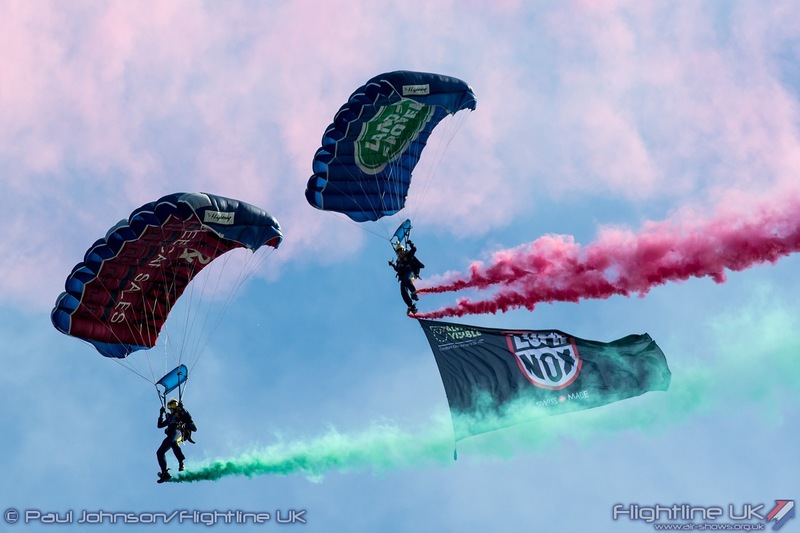 The Chinook display is overseen by Joint Helicopter Command (JHC) alongside the Army Air Corps Apache. 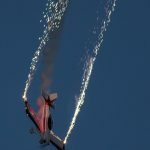 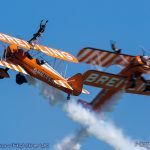 2016 has proved to be a difficult year for relations between JHC and airshow organisers with some bizarre hikes in display fees and other chaotic issues over allocations and cancellations. 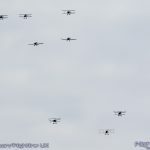 It seems JHC may have finally felt slightly embarrassed by their self-induced issues and sent a Airbus Helicopters Puma HC2 for some flypasts on the opening day of Airbourne. 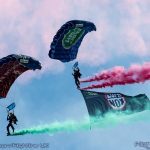 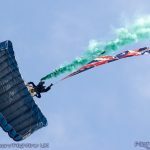 Completing the line-up of military displays were the Tigers Freefall Parachute Display Team from the Princess of Wales Royal Regiment. 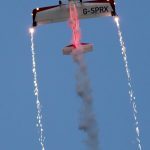 The team have grown in recent years into the one of the best respected teams on the circuit and display across the UK and Europe. 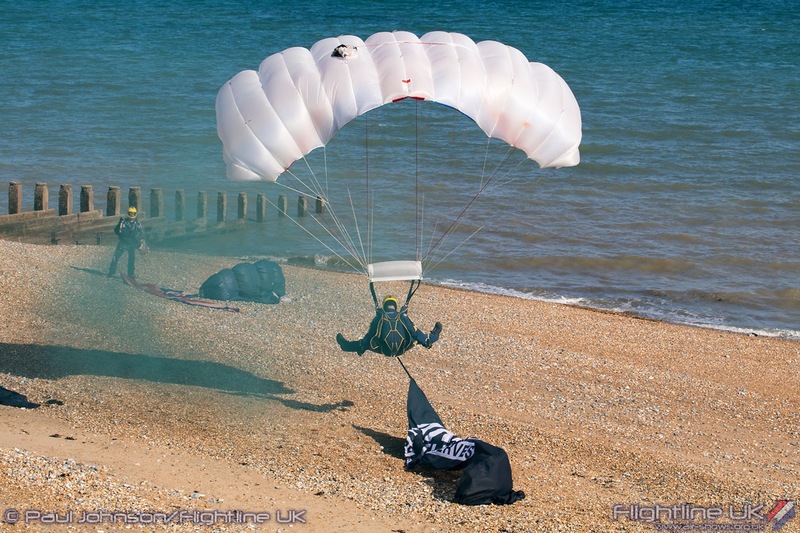 The team is based at Paderborn in Germany and have become firm favourites at Eastbourne jumping into the water right infront of the main promenade. 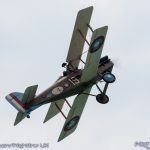 Eastbourne always has a good selection of historic types in the show. 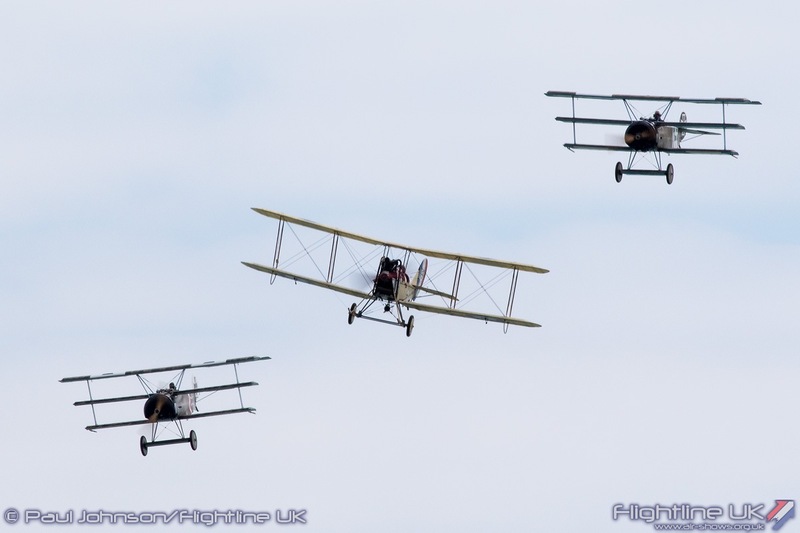 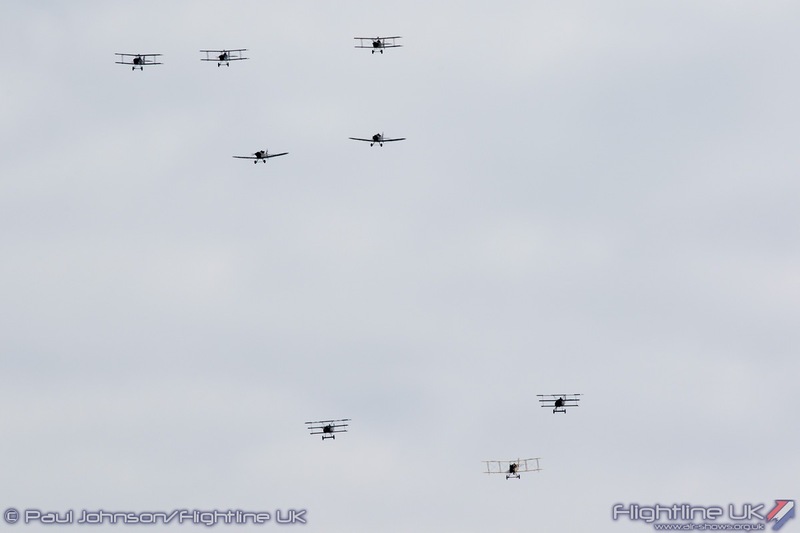 Making their first Eastbourne appearance this year were the Great War Display Team. 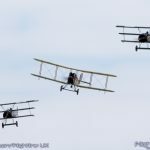 The team marking Eastbourne’s earliest links to aviation as the town was close to some Royal Flying Corps and Royal Naval Air Service stations 100 years ago. 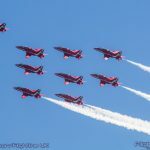 It is also unusual for the team to be seen at a seaside airshow but they were a great addition filling the sky with 10 aircraft. 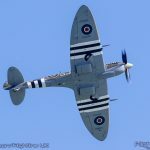 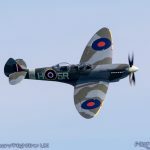 John Romain’s Aircraft Restoration Company has supported the show for many years with a traditional Spitfire solo display. 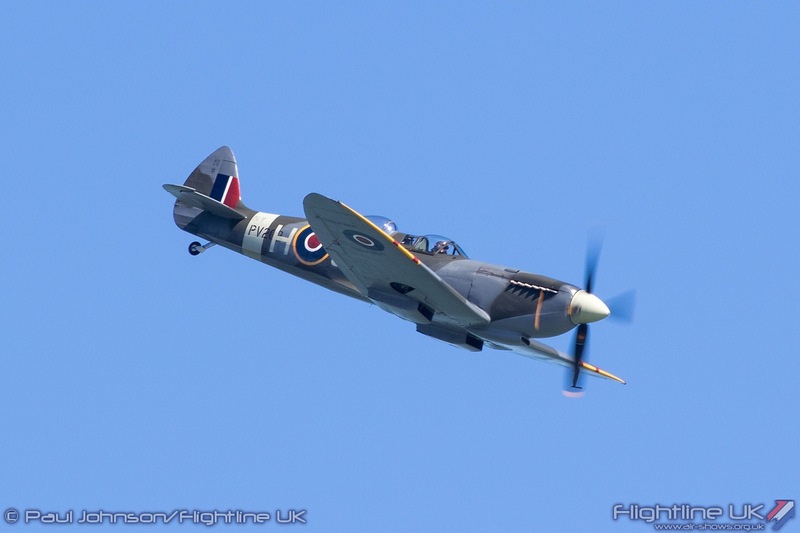 This year saw the Spitfire IXT PV202 return to Eastbourne appearing on all four days flown by Dave ‘Rats’ Ratcliffe. 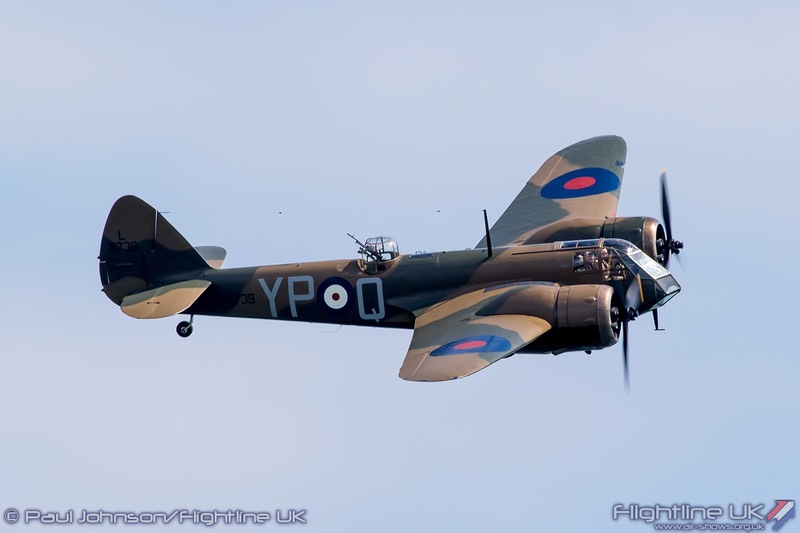 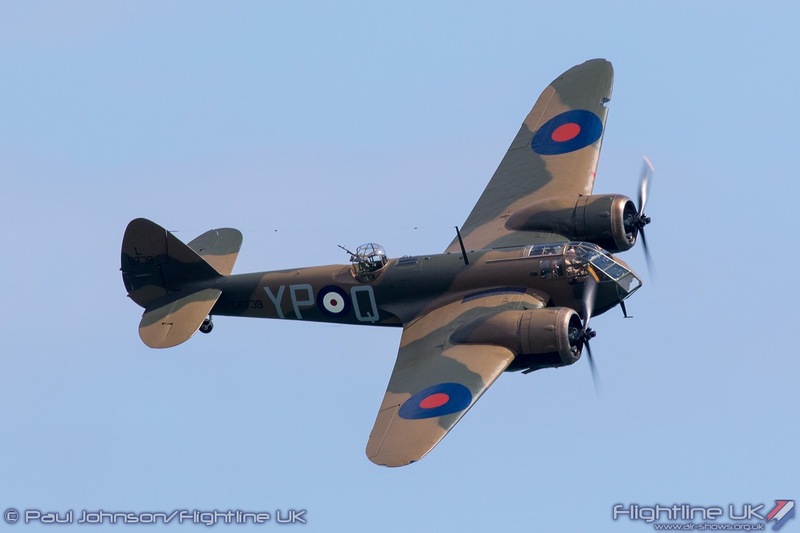 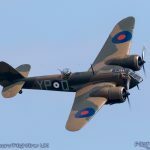 The weekend also saw the wonderful Bristol Blenheim 1F return to Eastbourne following its debut at the event last year. 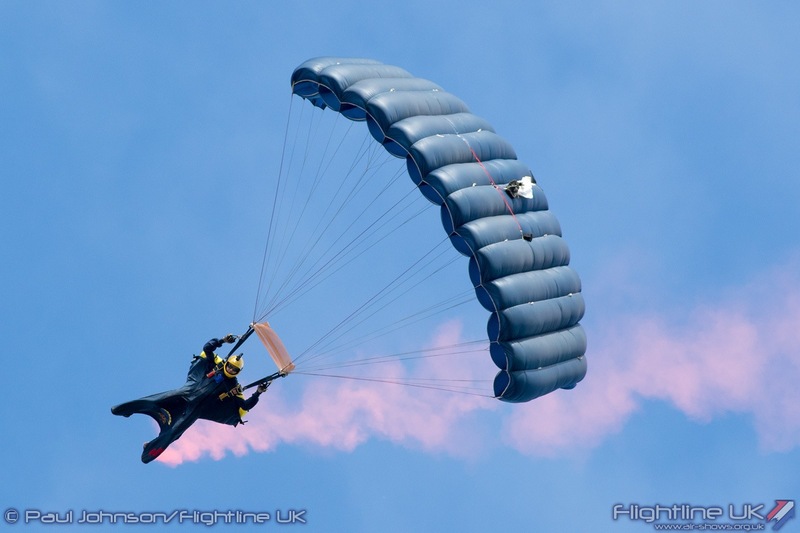 Another Airbourne regular is Peter Teichman. 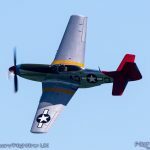 For the 2016 display he brought his North American P-51D Mustang now painted in the colours of the “Tuskagee Airmen” of 332nd Fighter Group. 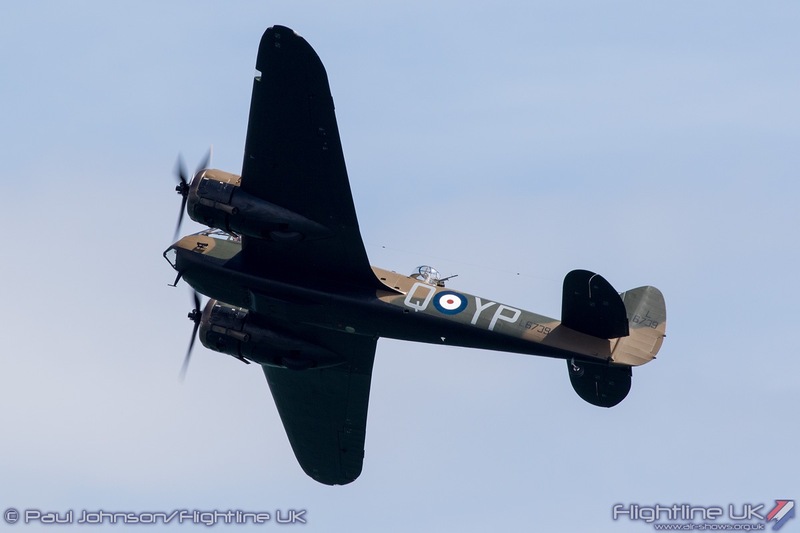 Joining the fighters were the bombers. 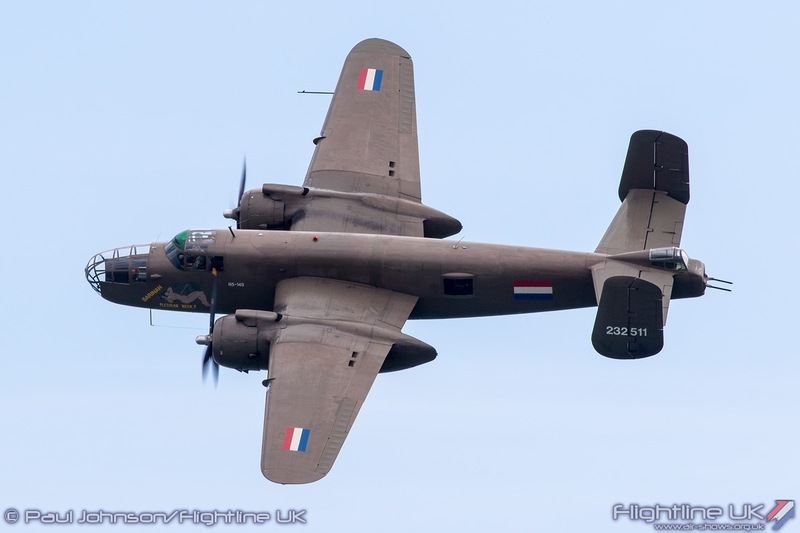 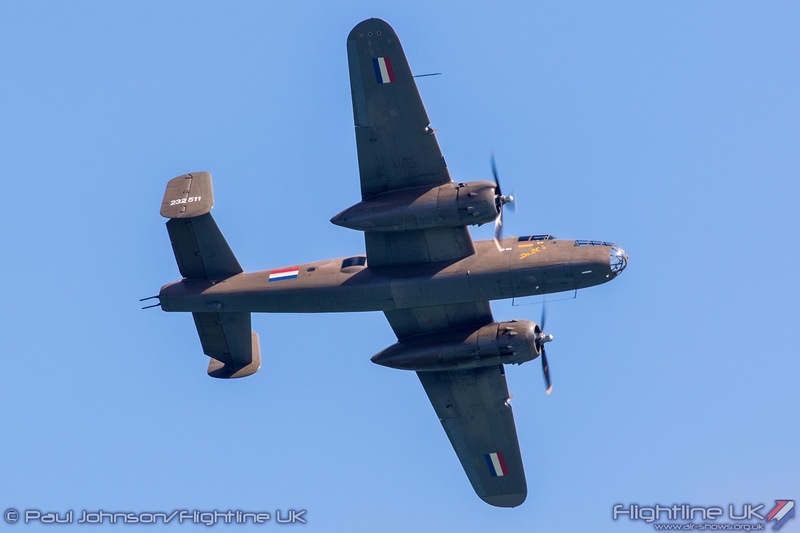 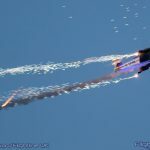 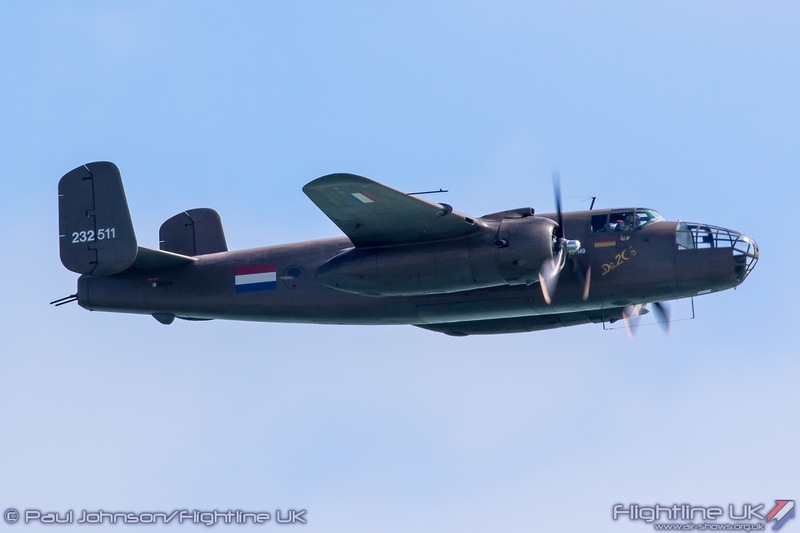 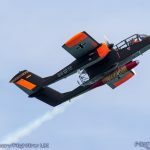 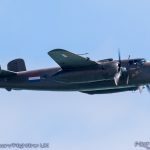 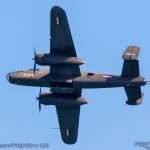 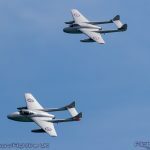 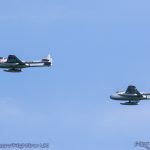 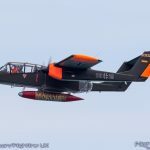 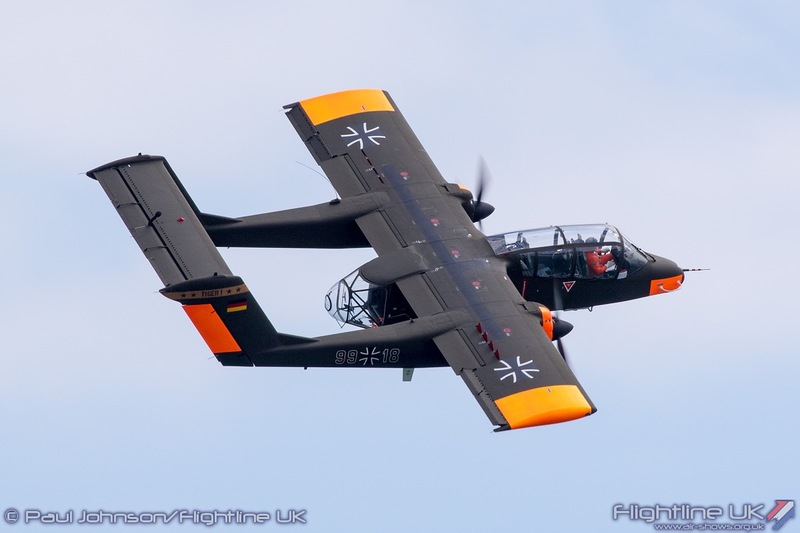 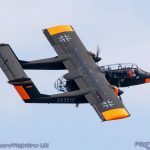 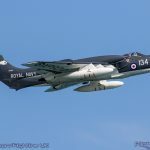 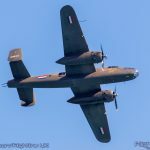 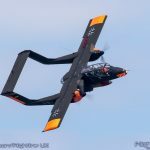 All four days of Airbourne saw the Royal Netherlands Air Force Historic Flight’s North American TB-25N Mitchell give impressive solo displays highlighting the medium’s bombers power and agility. 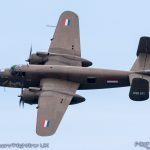 Saturday saw the Mitchell joined by Boeing B-17G Flying Fortress Sally-B. 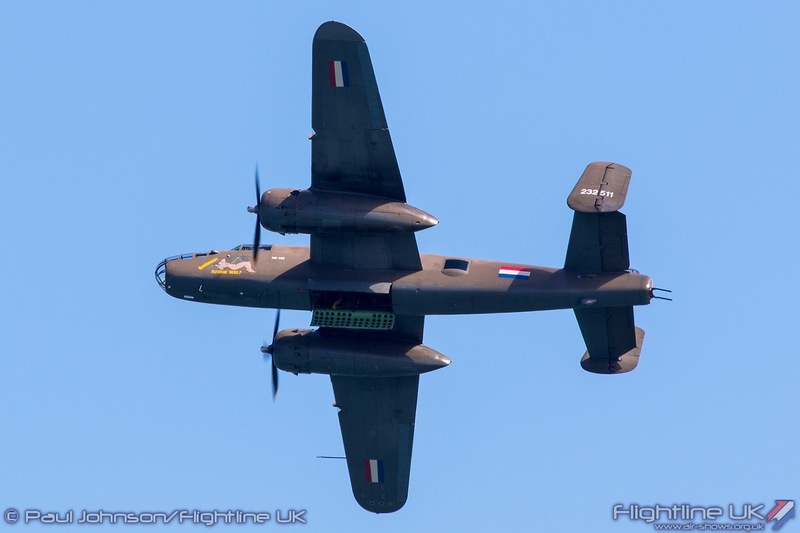 It is good to see this stalwart of the UK airshow circuit and flying memorial to the thousands of USAAF airmen make more appearances this year at a wide range of events. 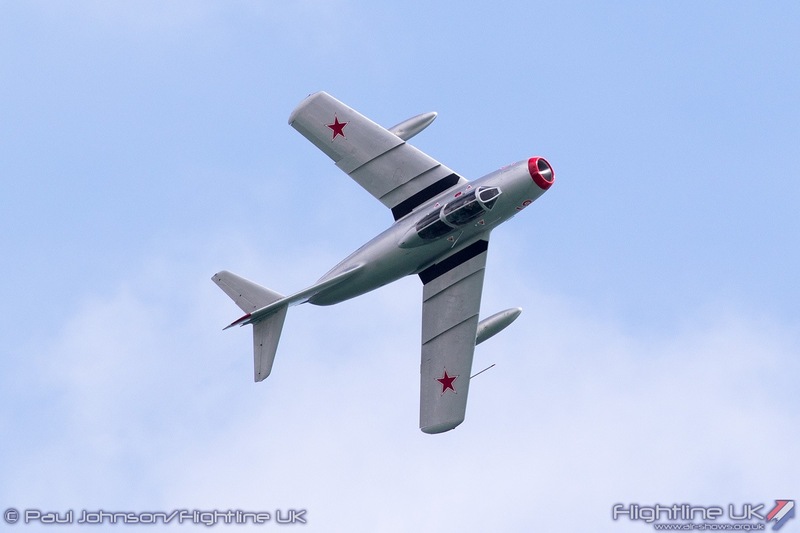 Later, Cold War history also formed a big part of the Eastbourne display. 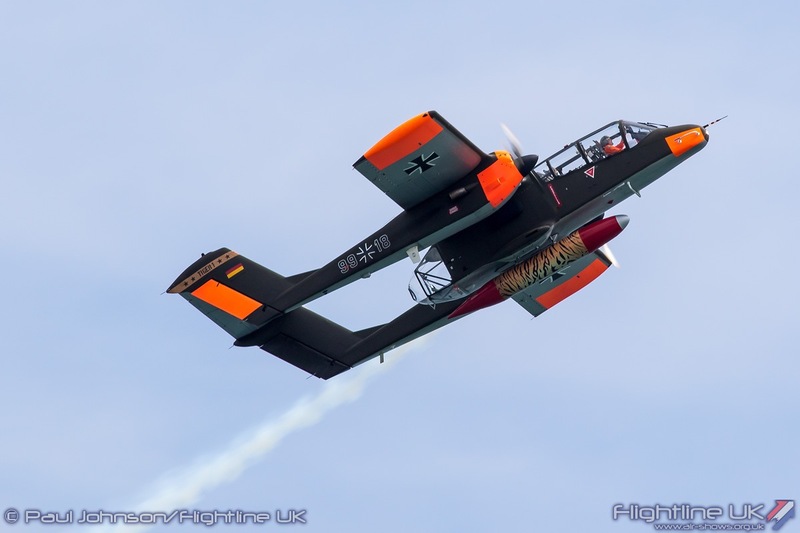 Another international item making their Airbourne debut was the Bronco Demo Team. 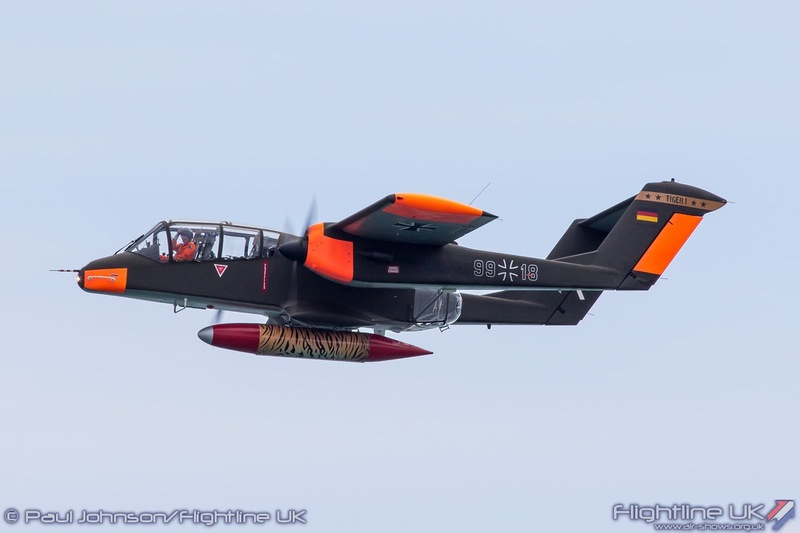 Tony de Bruyn always gives a wonderful account of the North American OV-10B Bronco and his display was a very welcome addition to the Airbourne line-up. 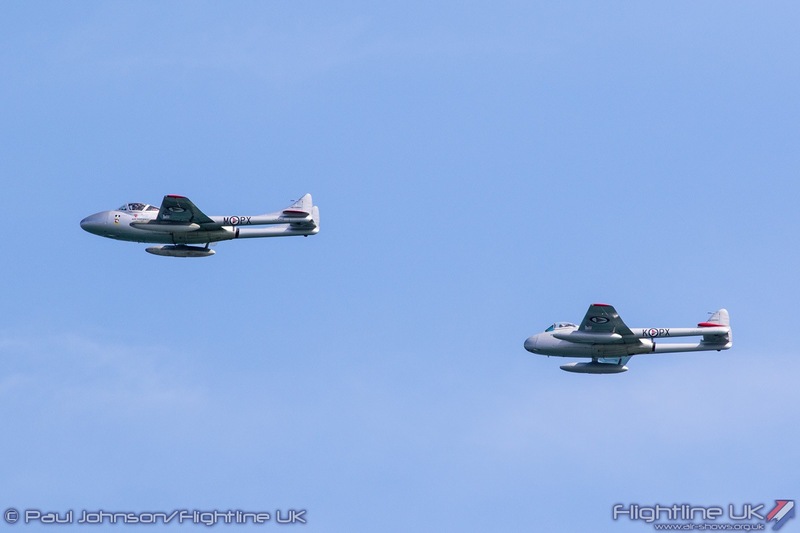 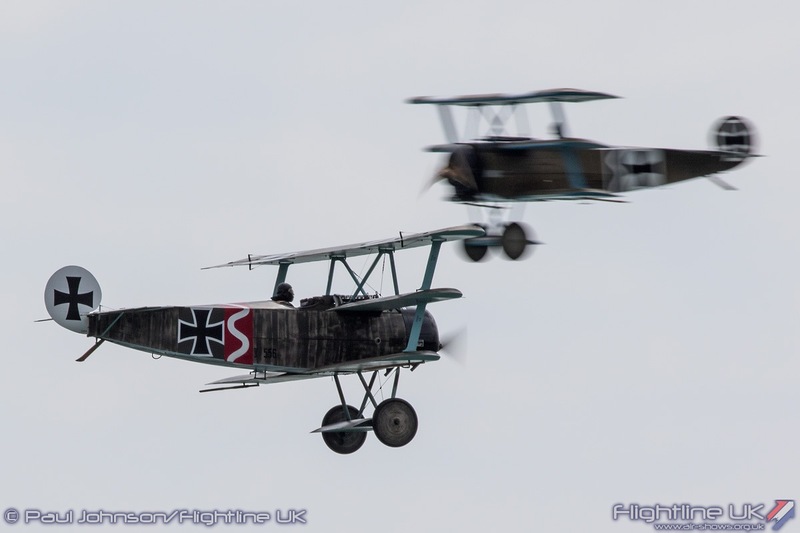 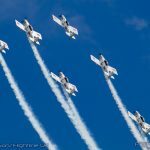 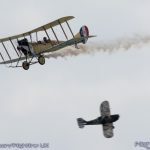 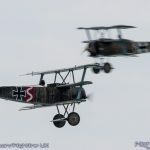 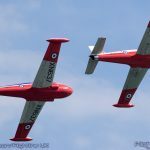 The Norwegian Air Force Historical Squadron has been a regular participant at Eastbourne in recent years and they returned again in 2016 with two displays operating from their temporary UK base at North Weald on the Saturday and Sunday. 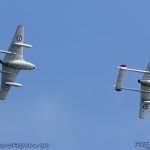 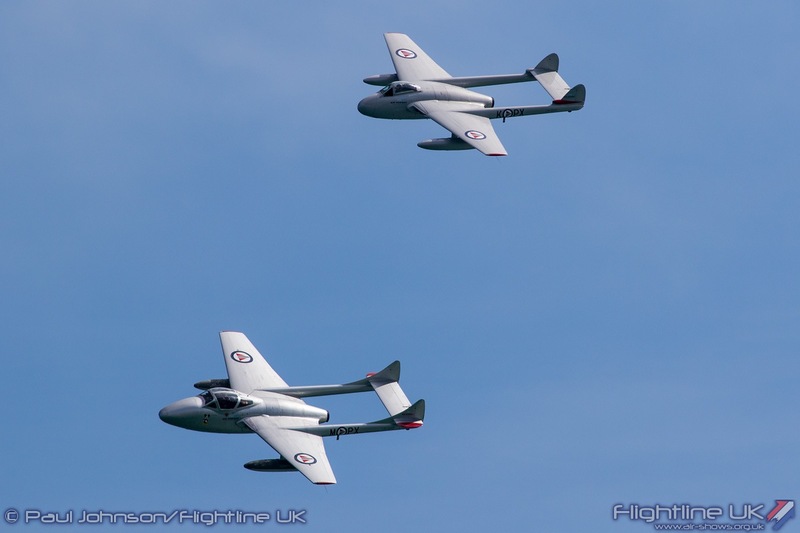 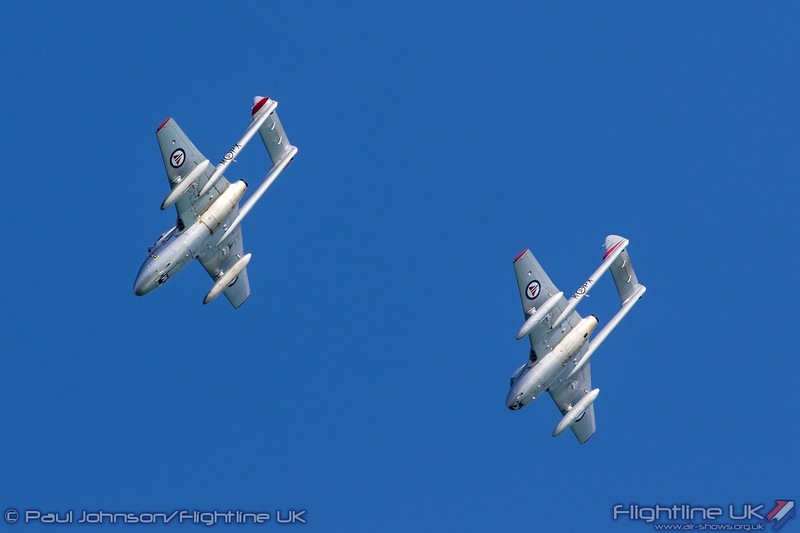 Their most familiar aircraft are the pair of de Havilland Vampire FB52 and Vampire T55 which has become a regular sight at many UK airshows. 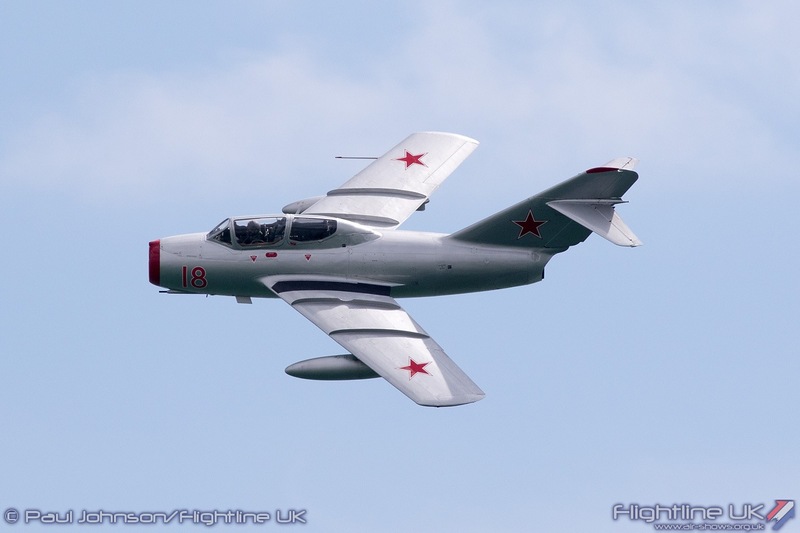 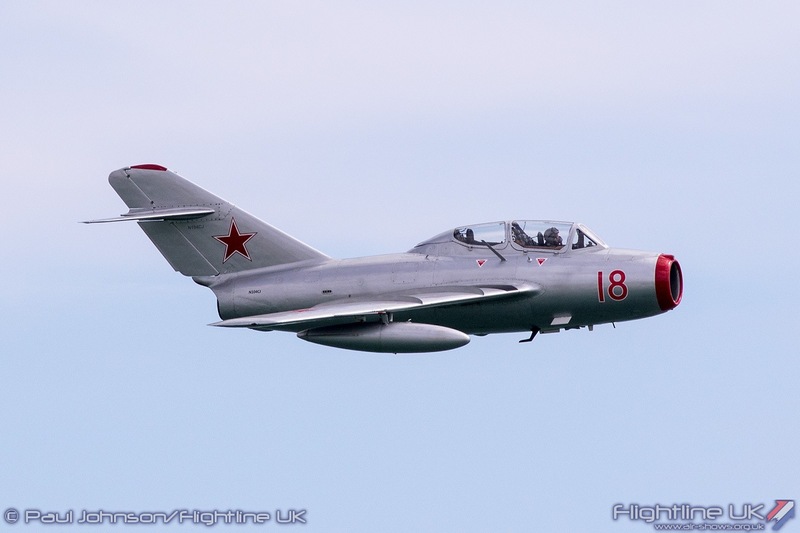 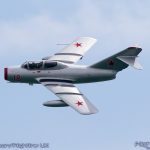 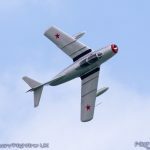 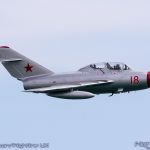 Joining them following its debut last year was the Mikoyan-Gurevich MiG-15UTi (actually a Polish built Lim-2) which wears the markings of ‘Red 18’ – the personal aircraft of the first Russian cosmonaut Yuri Gagarin. 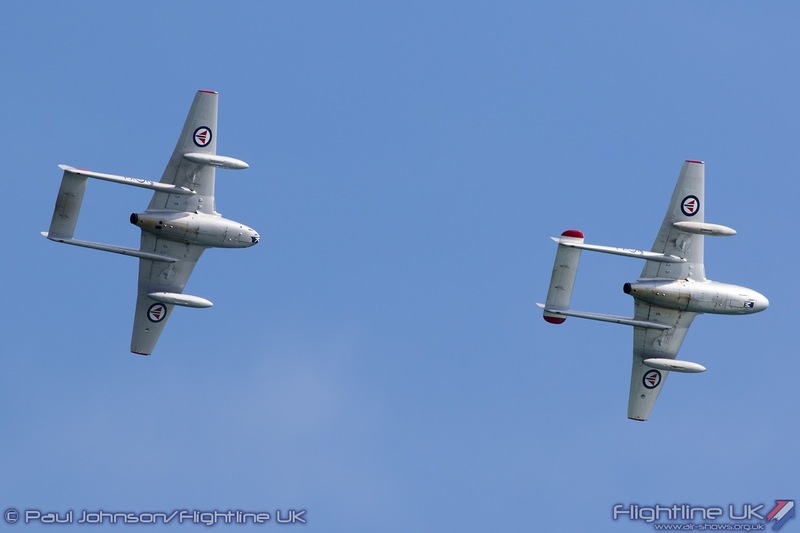 The ‘JetPro’ pair is a relatively new addition to the display circuit. 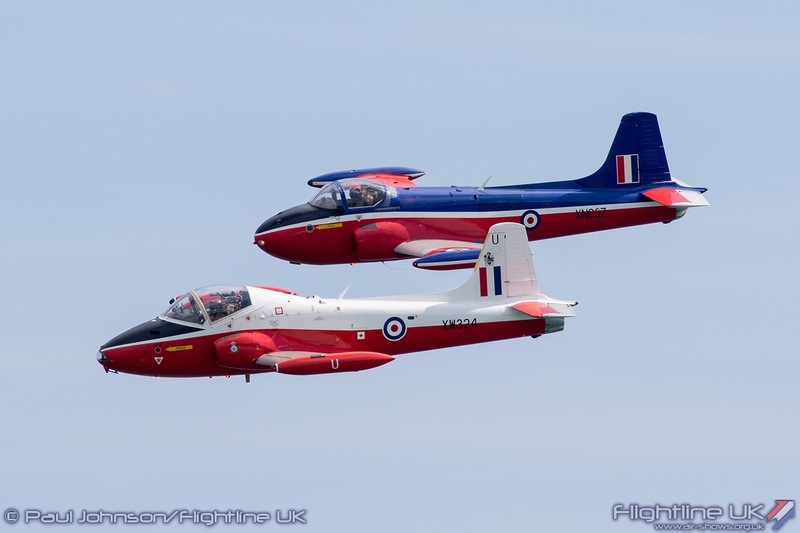 Operating from Lydd Airport during all four days the pair consisted by BAC Jet Provost T5 XW324 flown by Sqn Ldr Dan Arlett and Jet Provost T3 XN637 flown by Flt Lt Ollie Suckling. 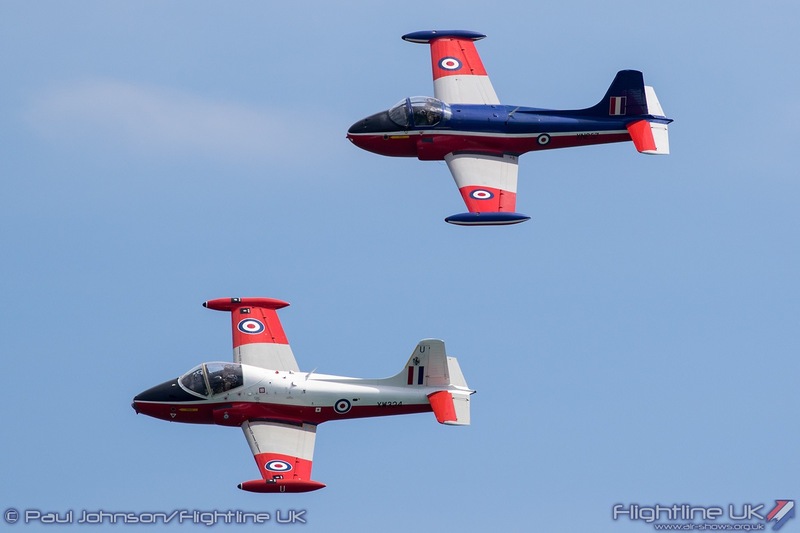 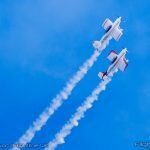 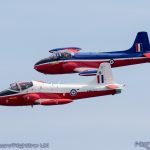 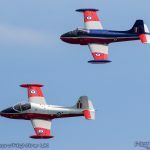 The pair performed some sweeping formation passes and synchronised aerobatics along the Eastbourne coastline showing off the lines and noise of the famous RAF jet trainer ahead of some tailchasing and synchronised aerobatics. 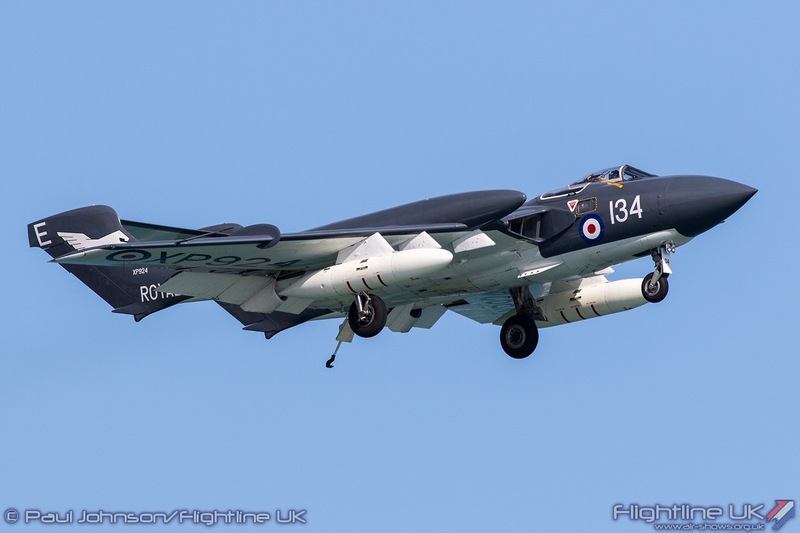 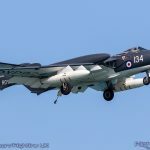 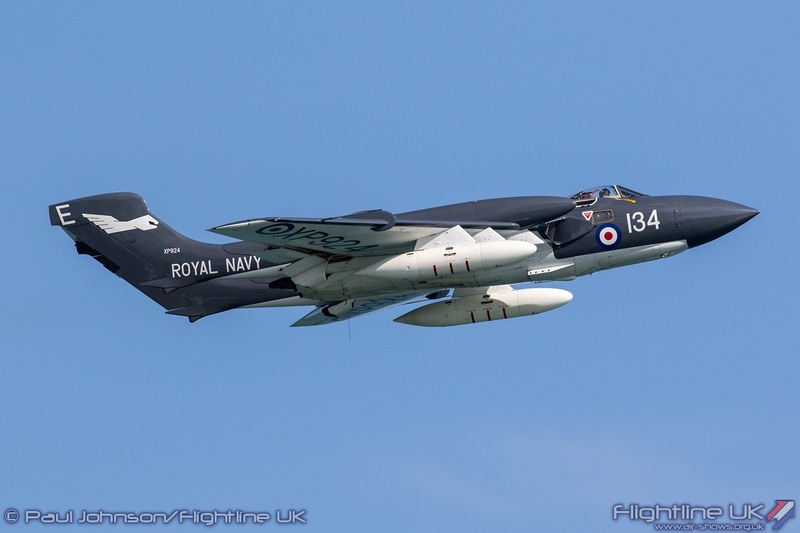 Sunday saw further classic jet action with the inclusion of the Fly Navy Heritage Trust’s awesome de Havilland Sea Vixen FAW2. 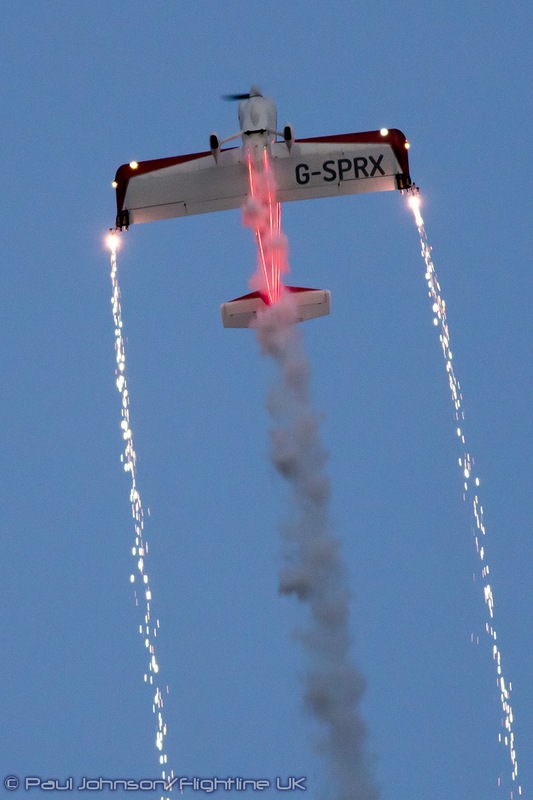 Sadly though as Simon Hargreaves completed the first pass of his routine, the aircraft suffered a fault with the aircraft flaps. 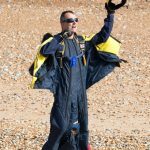 Following a precautionary wide circuit and a final slow flypast, Simon opted to head home rather than risk the aircraft. 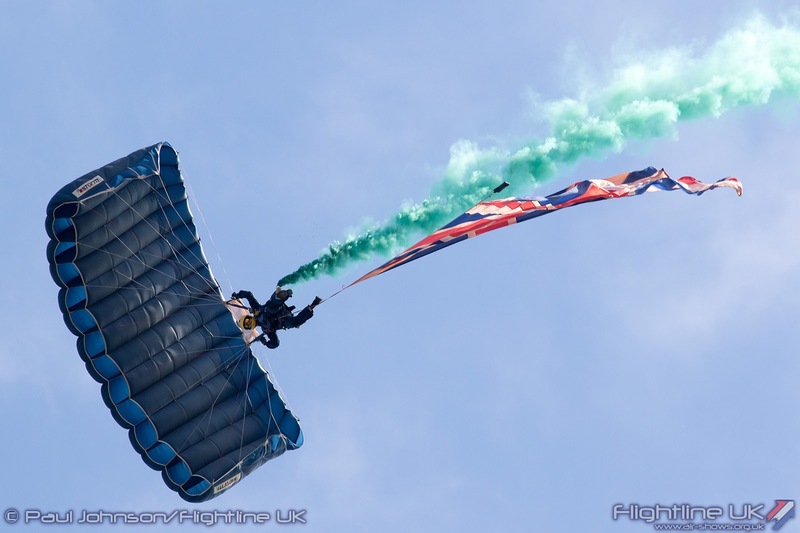 Augmenting the military and historic displays is always a selection of the best civilian display teams. 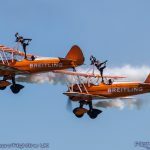 No Airbourne would be complete without either The Blades or the Breitling Wingwalkers who both appeared on all four days of the show. 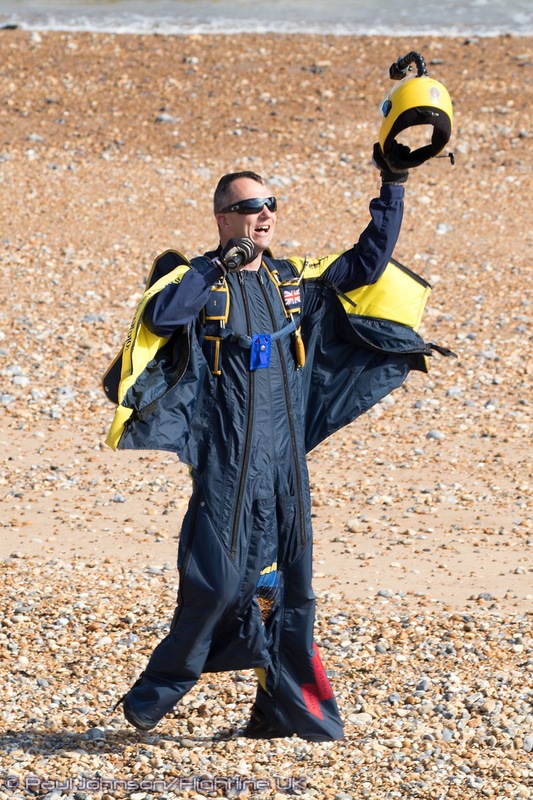 Joining them was a new team to Eastbourne, Team Raven. 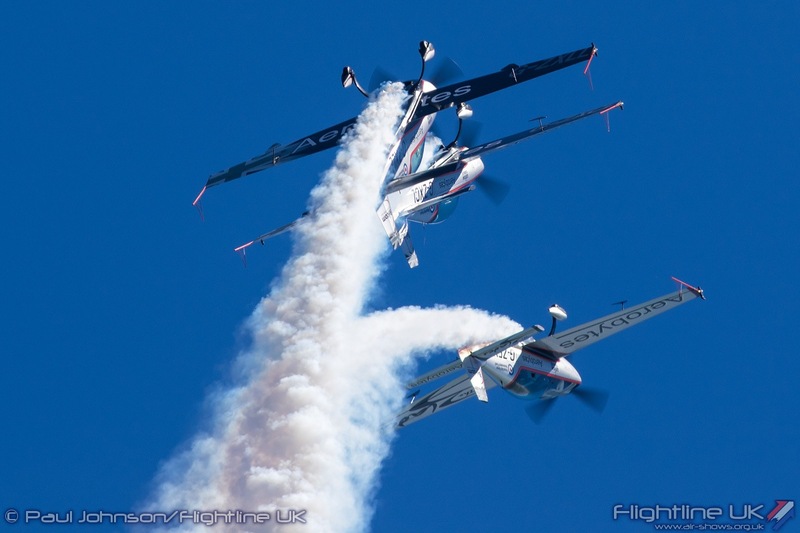 Formed out of team pilots from Team Osprey and Team Viper, the team fly a six-ship of Vans RV4 and RV8s through a very original routine of formation aerobatics. 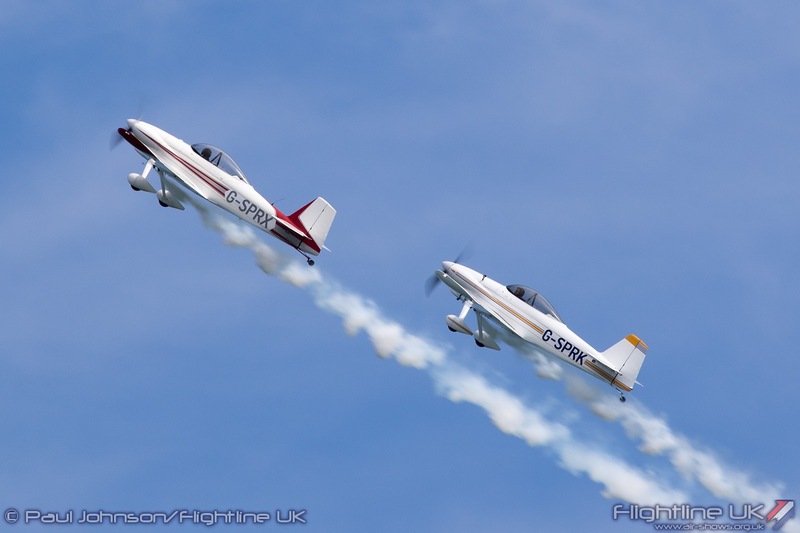 They have proved very popular on the display circuit appearing around the UK and ventured to many European shows too. 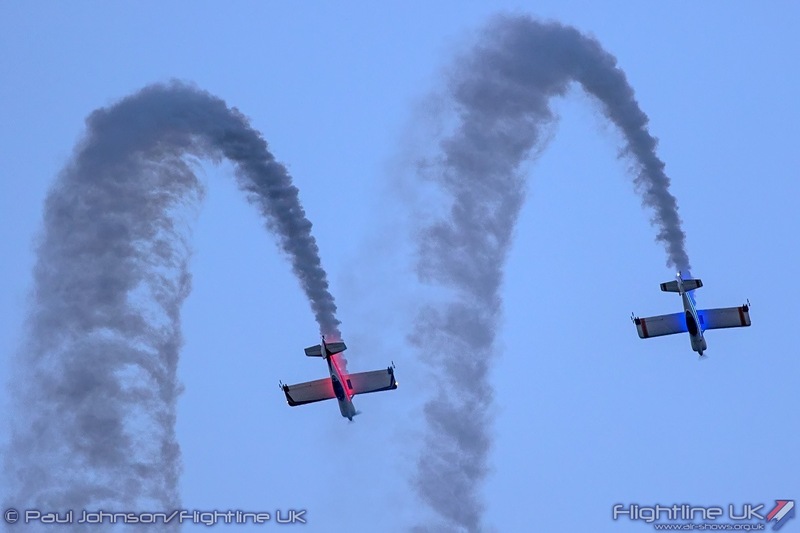 Sunday saw the appearance of another Vans Aircraft based team, this time the locally based Fireflies Aerobatic Team. 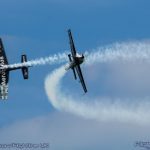 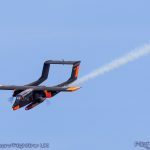 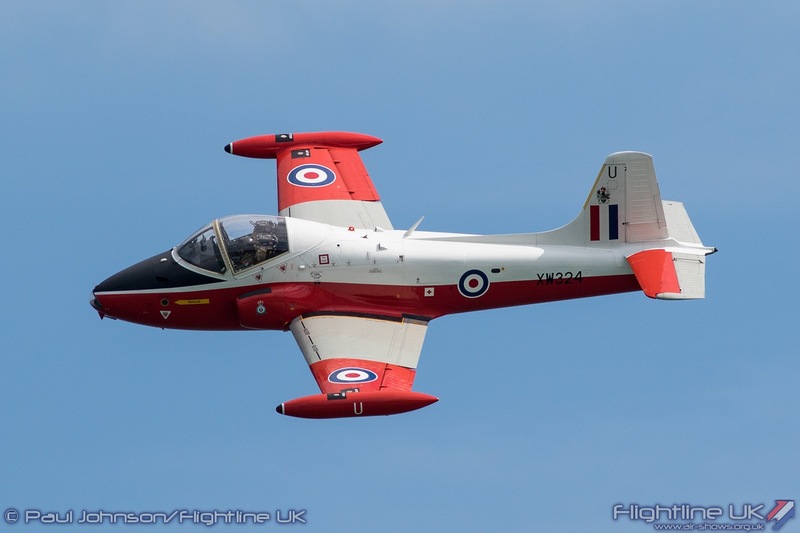 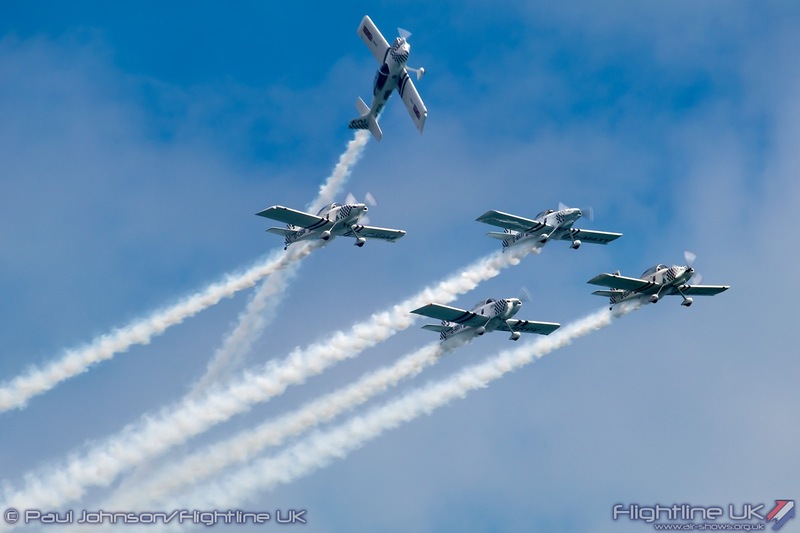 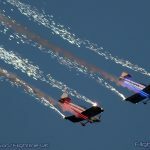 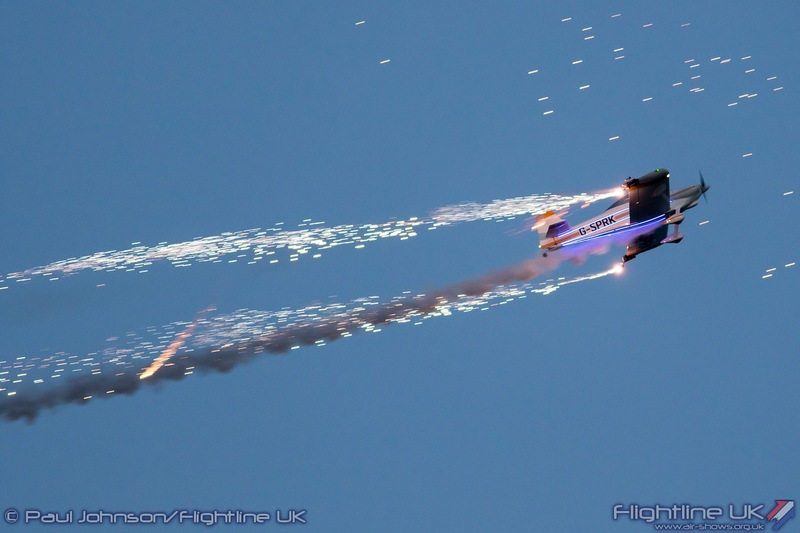 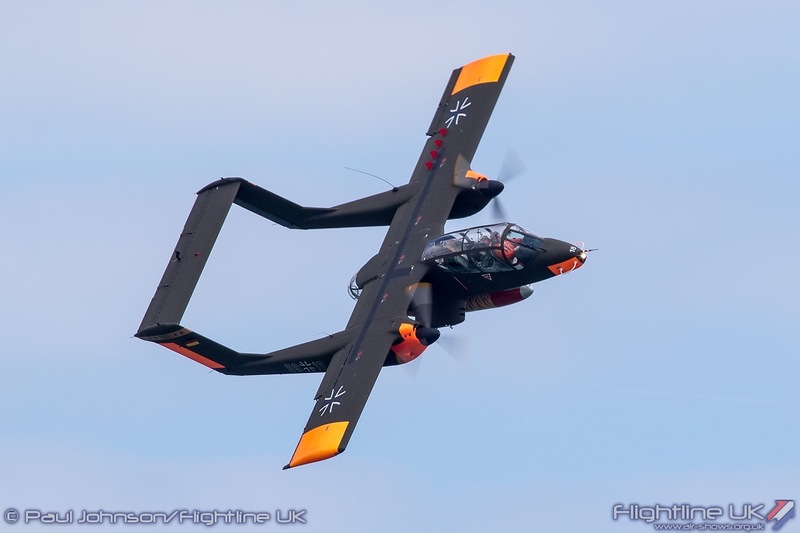 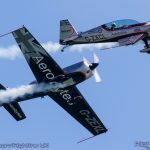 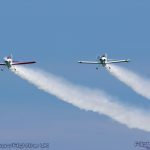 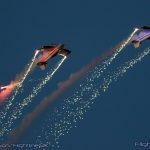 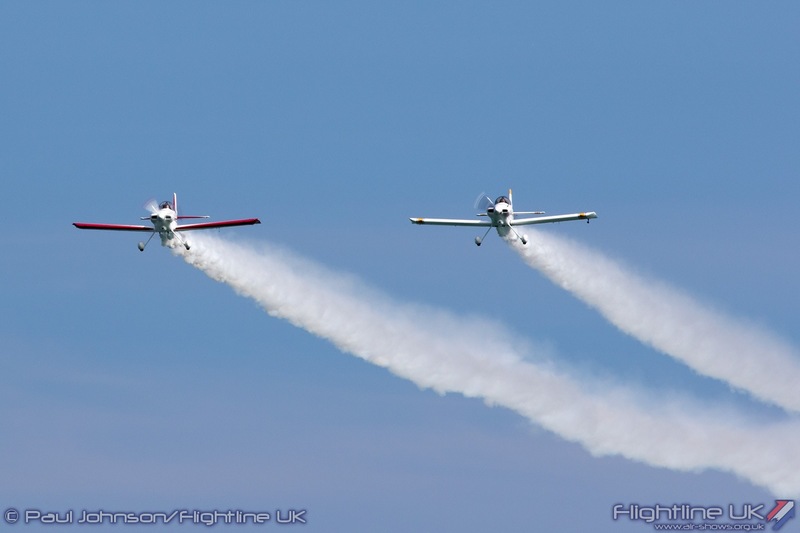 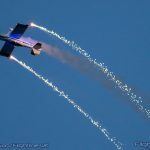 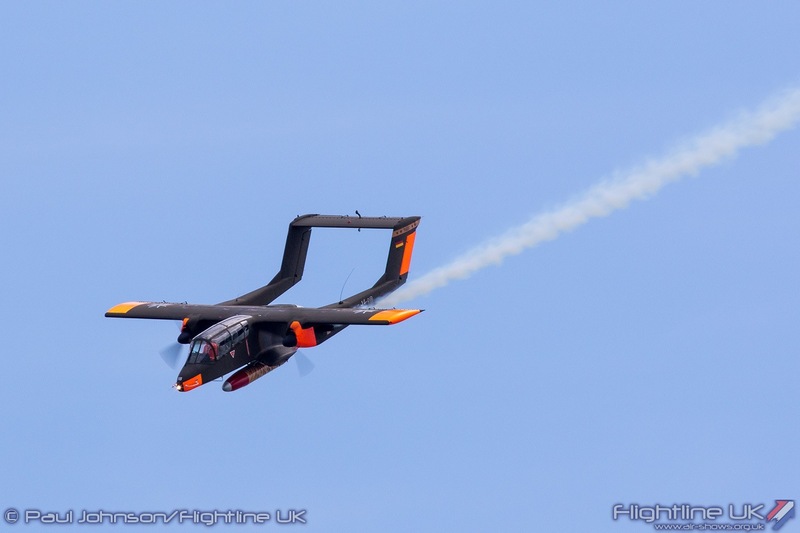 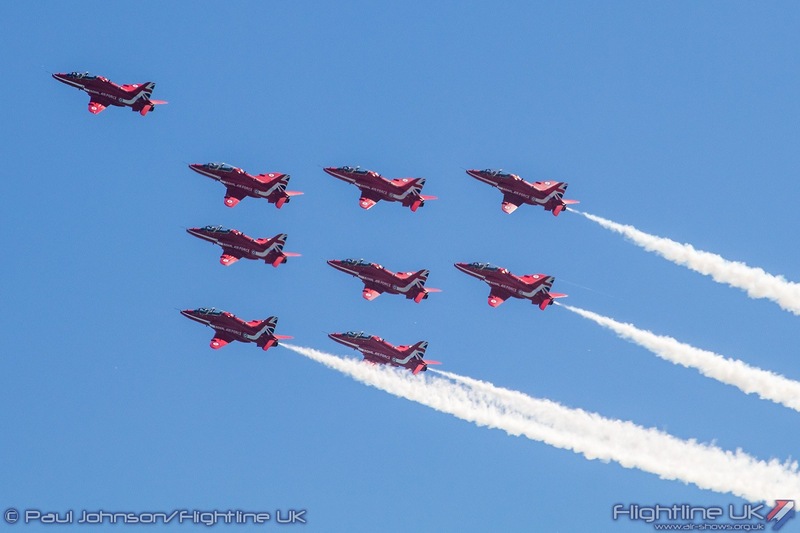 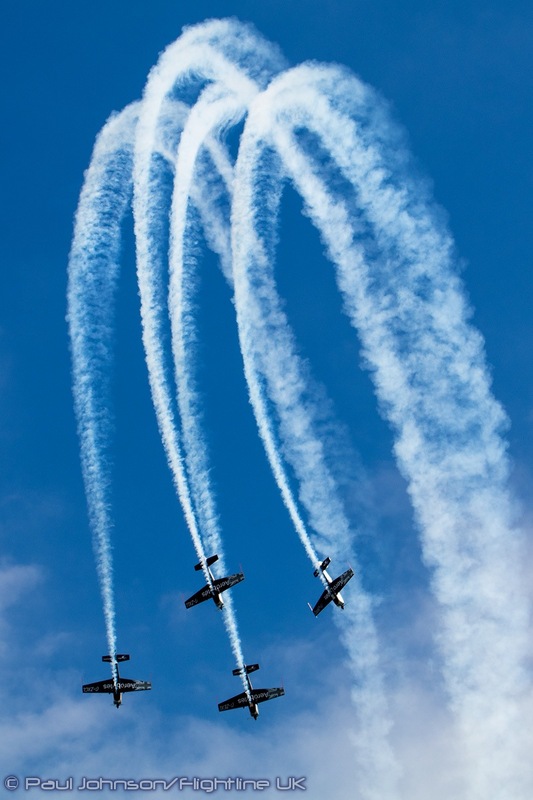 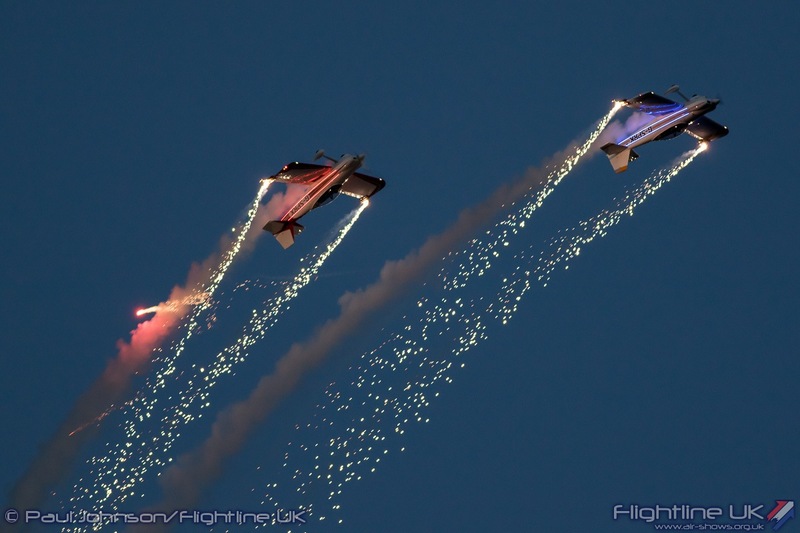 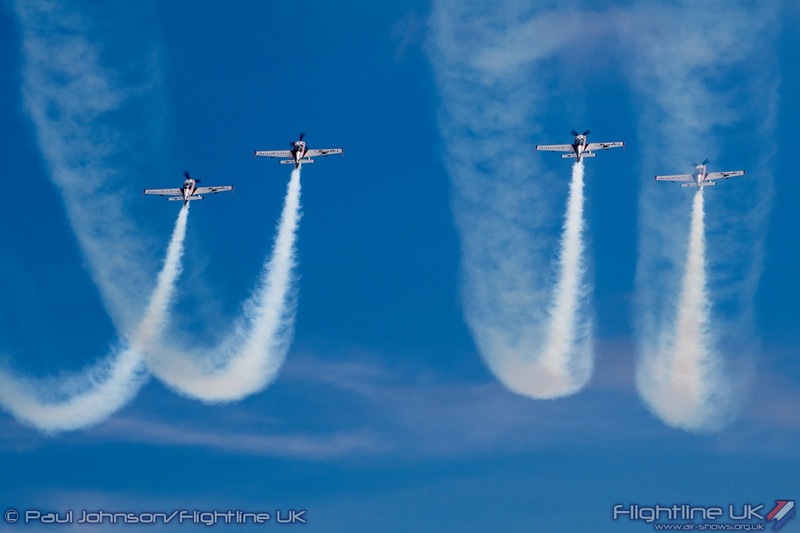 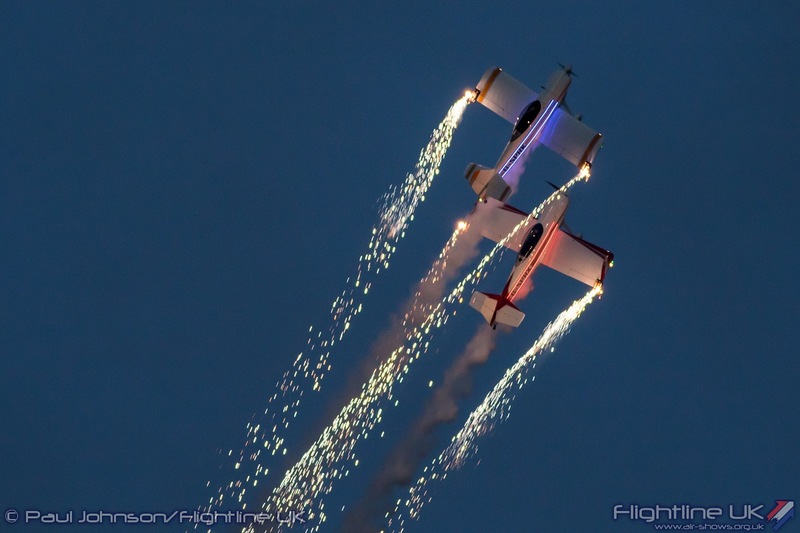 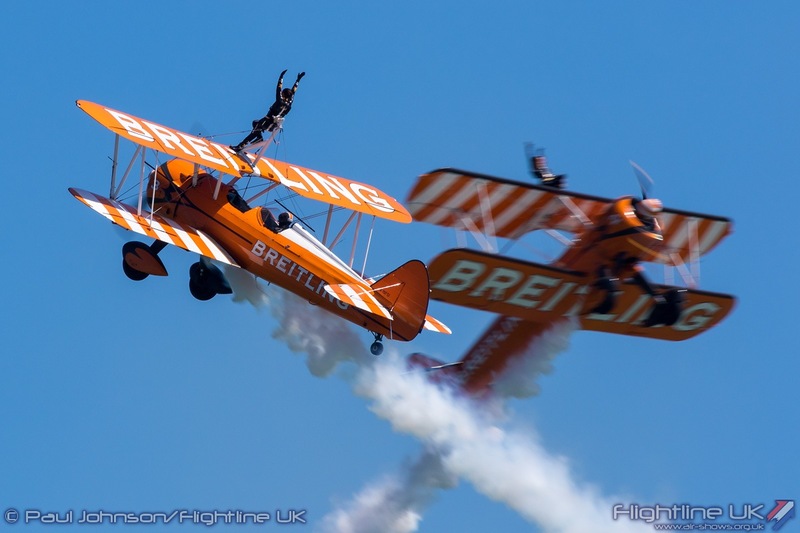 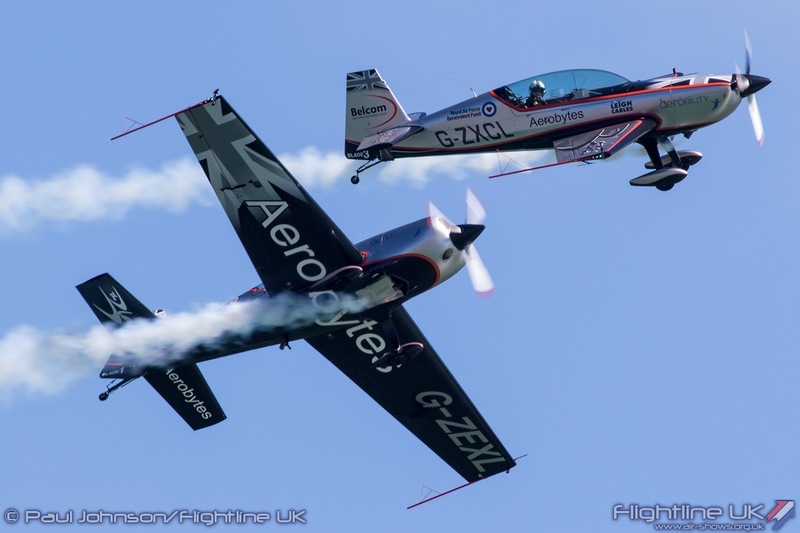 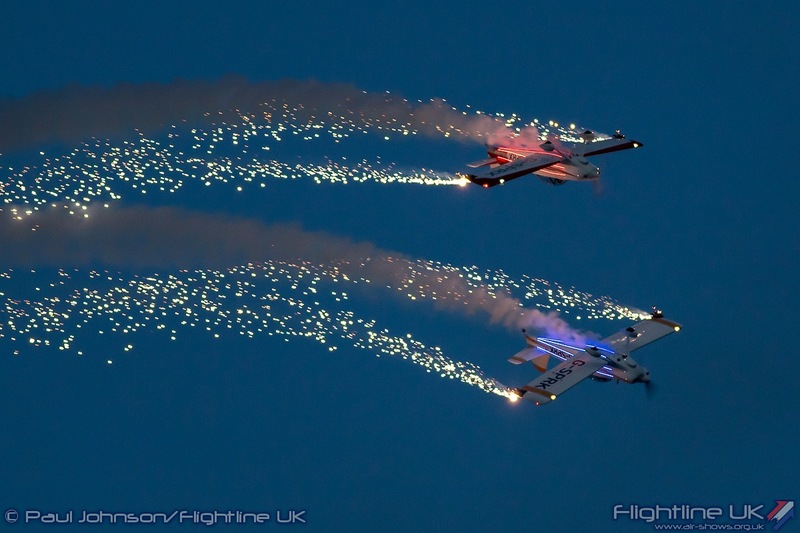 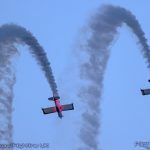 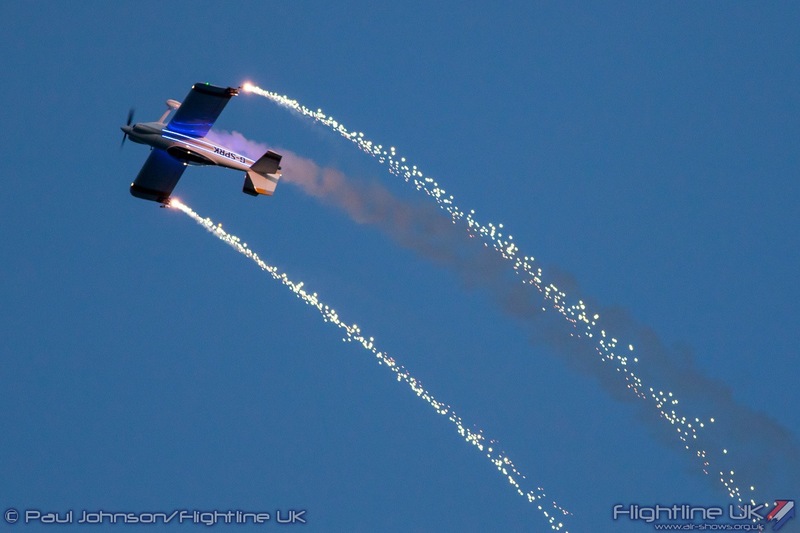 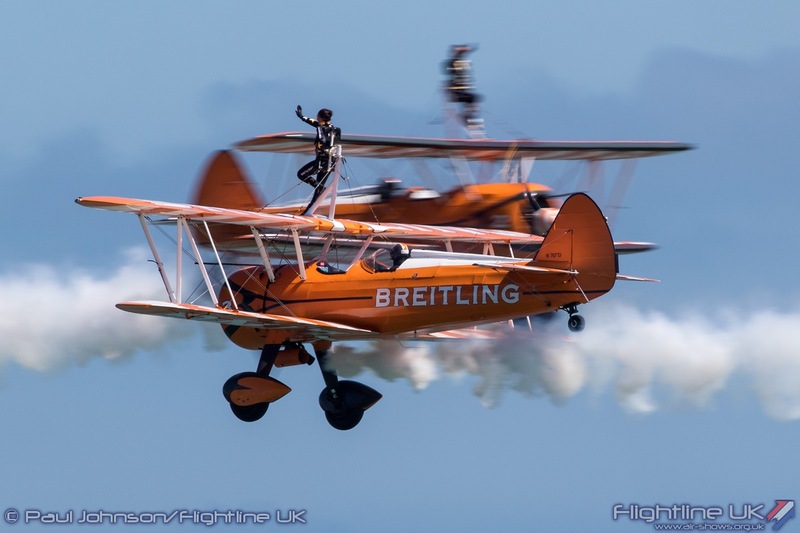 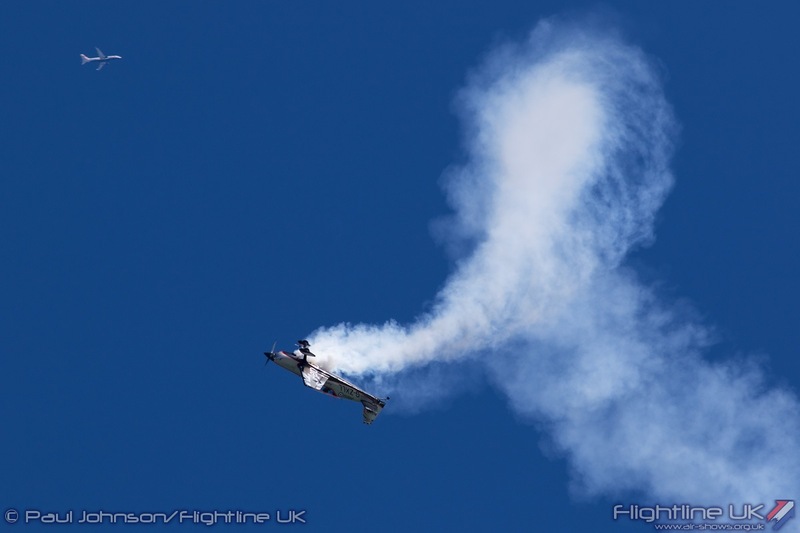 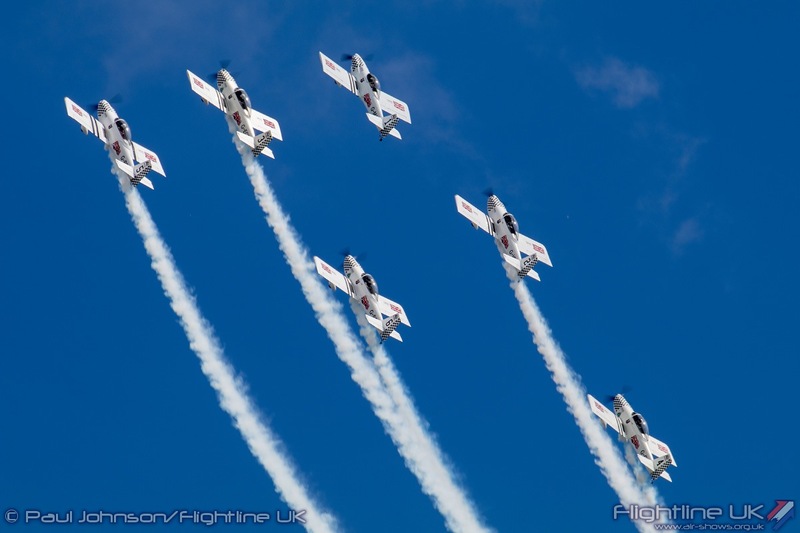 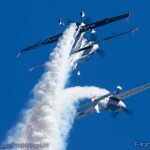 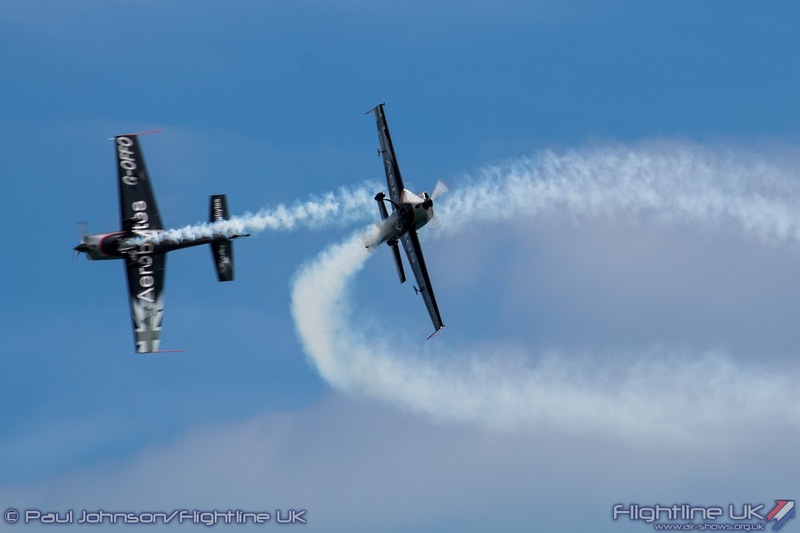 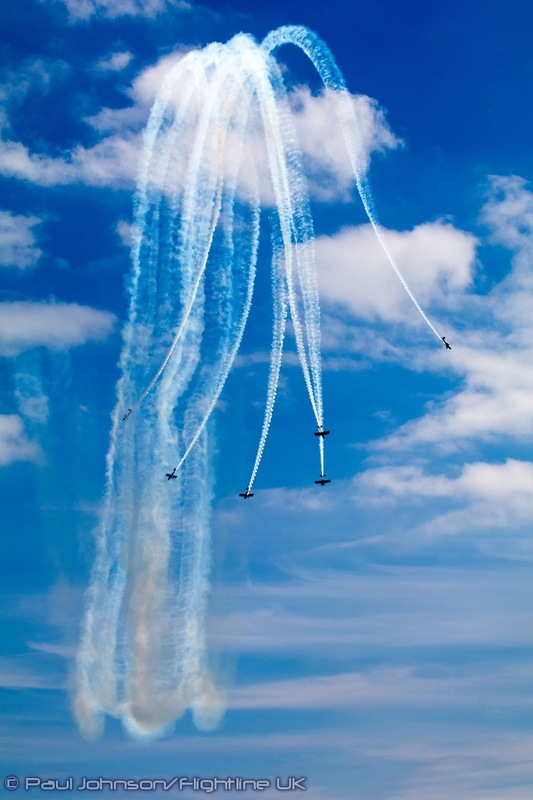 Pilots Jon Gowdy and Andy Durston formed the team last year and made their display debut at the Bournemouth Air Festival. 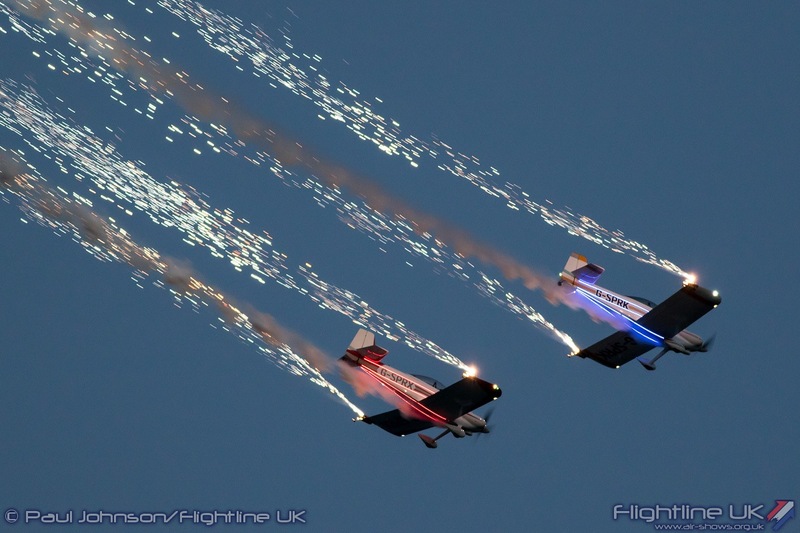 They fly the slightly smaller Vans RV4 and both aircraft have been modified with LED lighting strips and wingtip pyrotechnics. 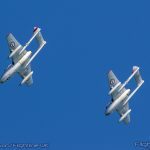 They appeared twice during Sunday. 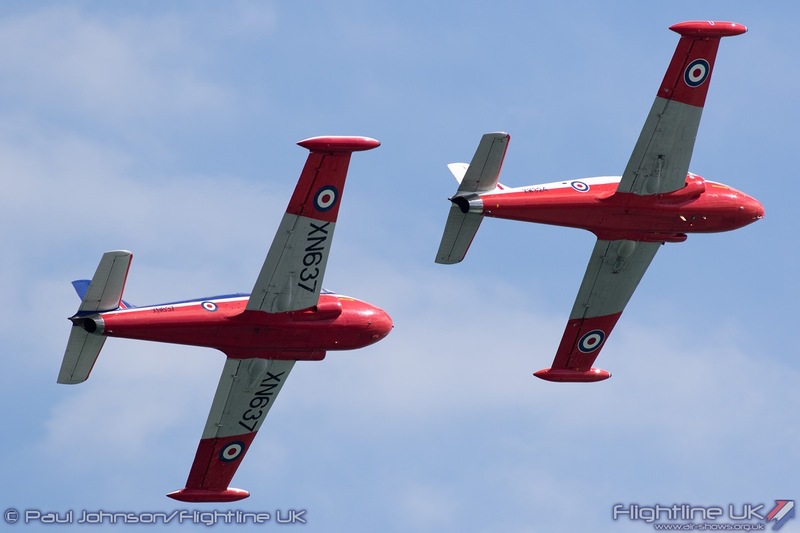 Firstly they appeared during the main afternoon flying display flying a routine of close formation, synchronised and opposition aerobatics. 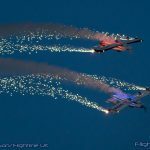 They returned much later at dusk during the evening festivities performing one of their first UK formation pyrotechnic routines to round off a spectacular four days of air displays. 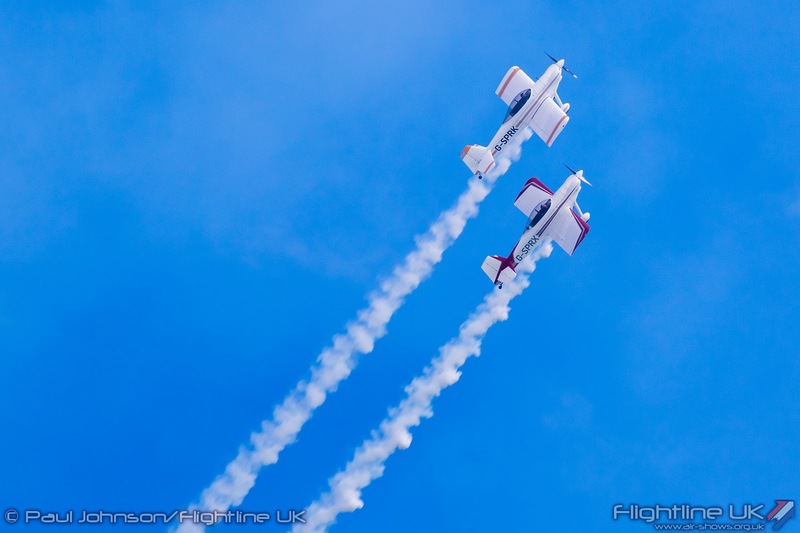 For once, Eastbourne enjoyed excellent weather throughout all four days of Airbourne. 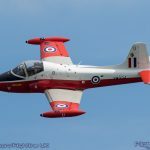 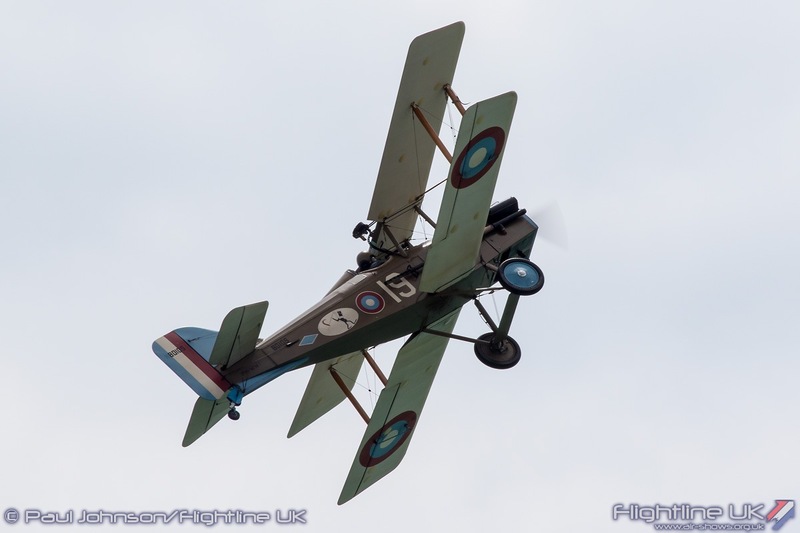 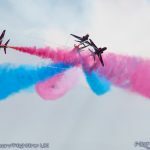 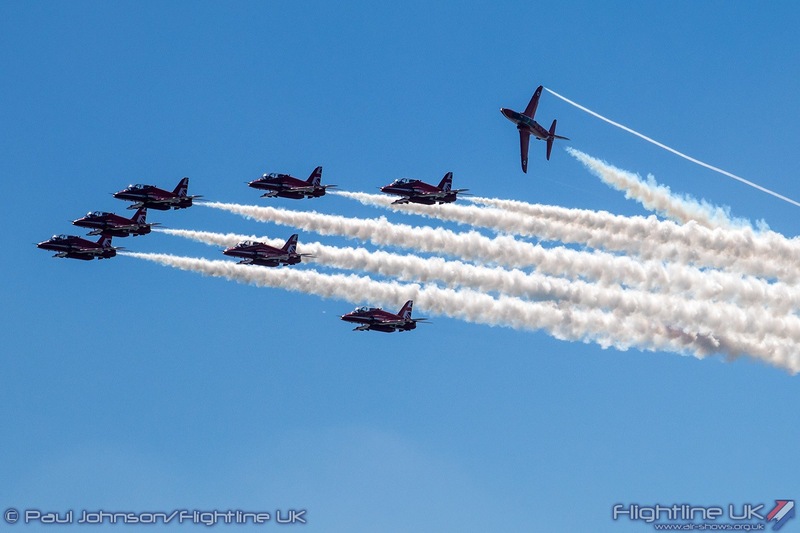 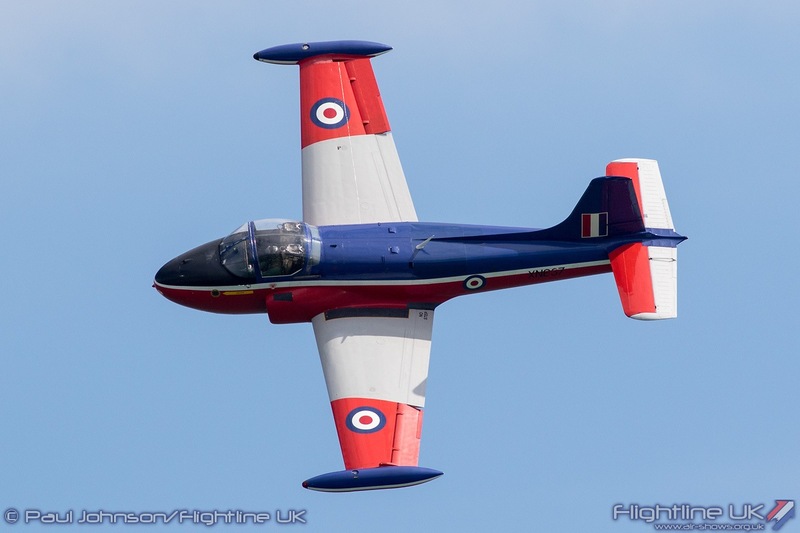 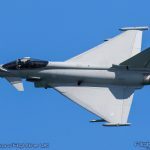 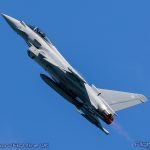 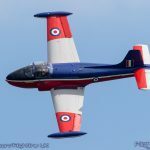 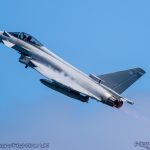 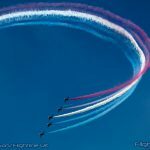 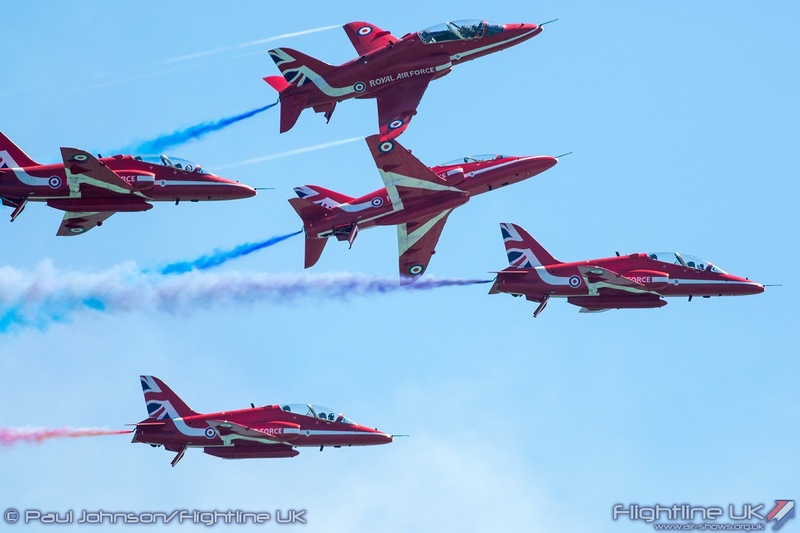 While many of the displays are very familiar to those that visit a lot of airshows, together they made for a fun few days on the East Sussex coast. 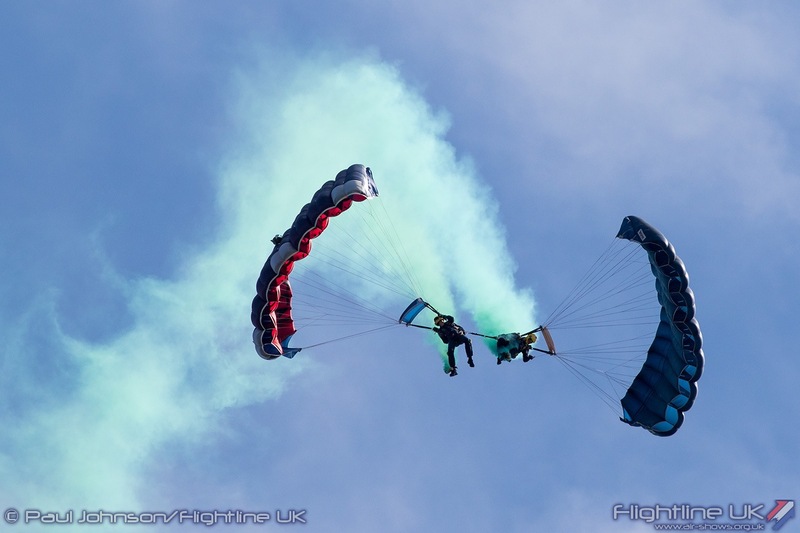 We look forward to seeing what the 25th show next year has to offer! 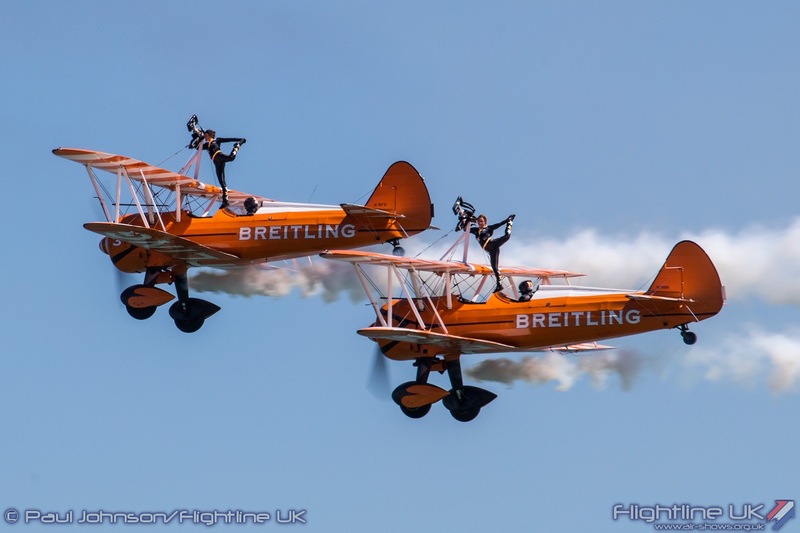 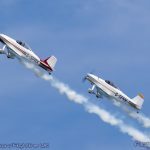 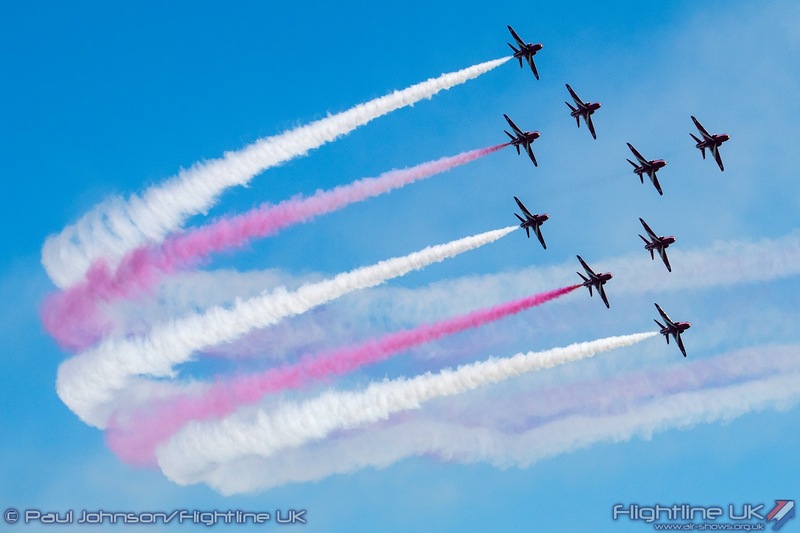 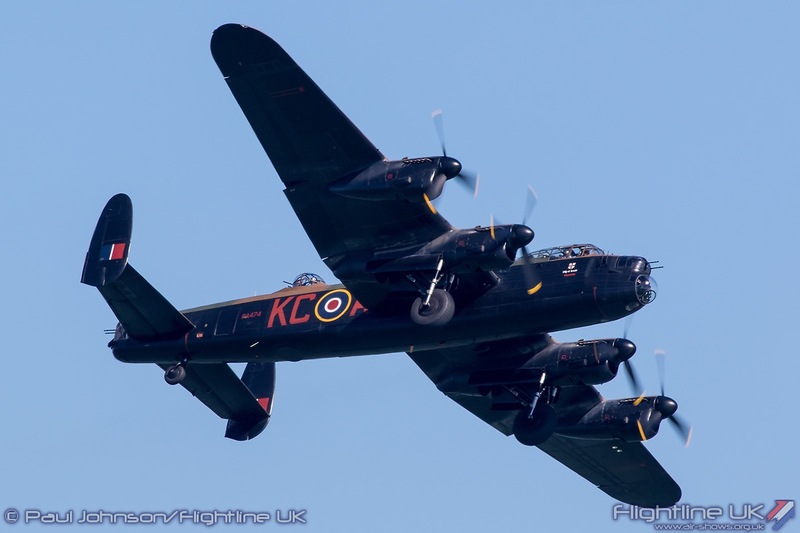 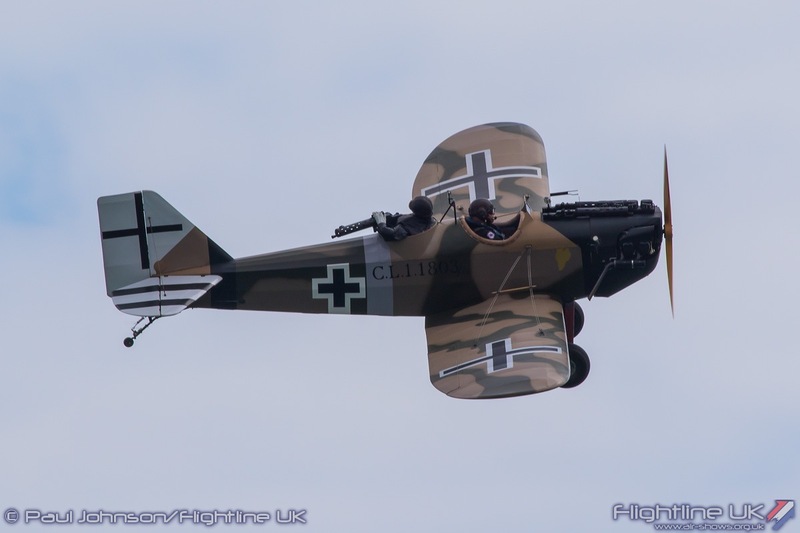 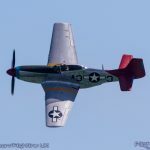 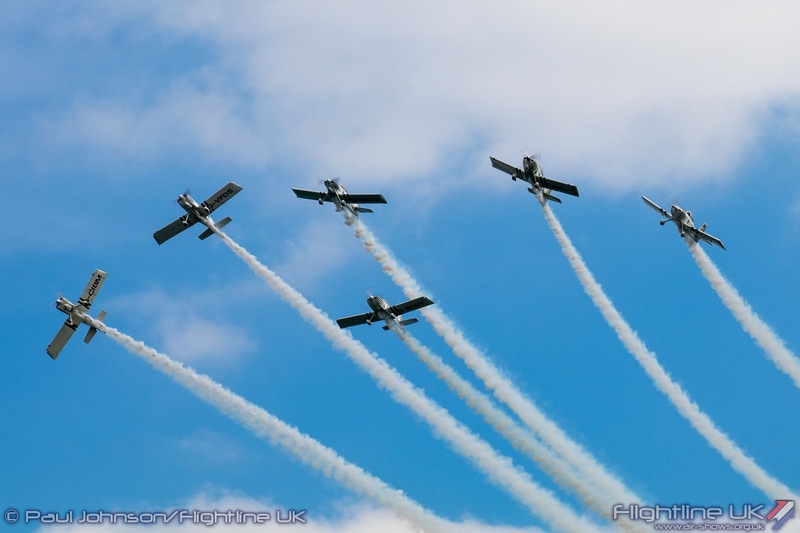 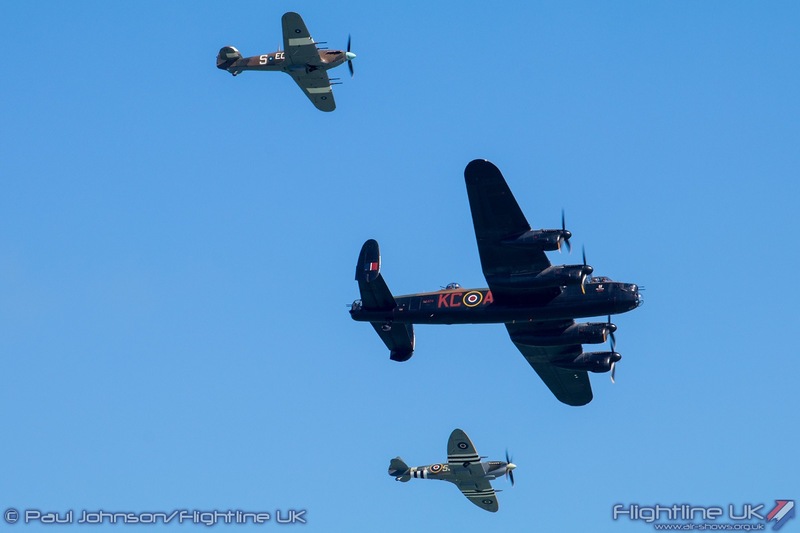 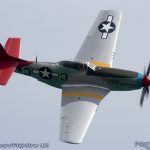 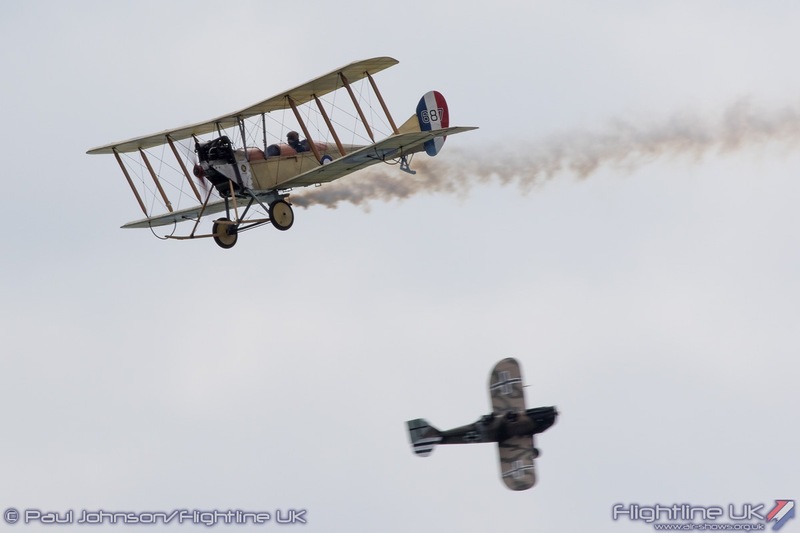 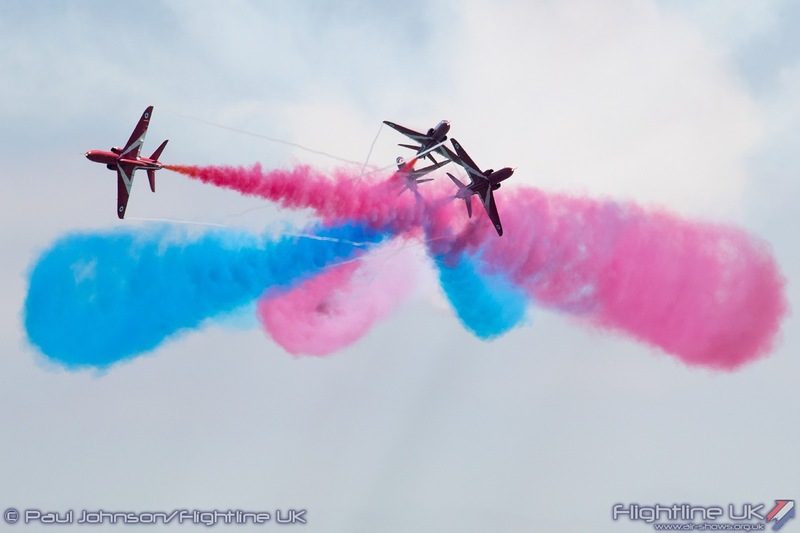 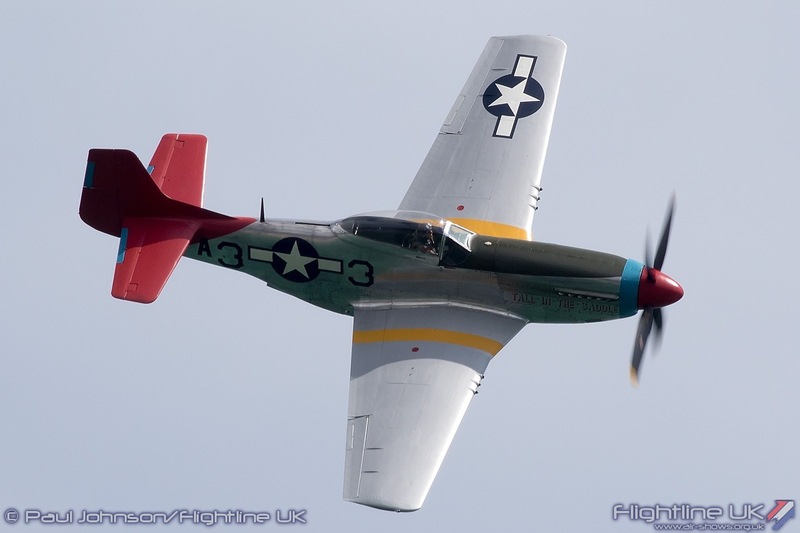 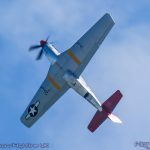 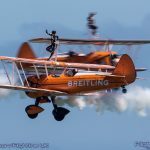 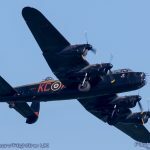 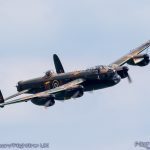 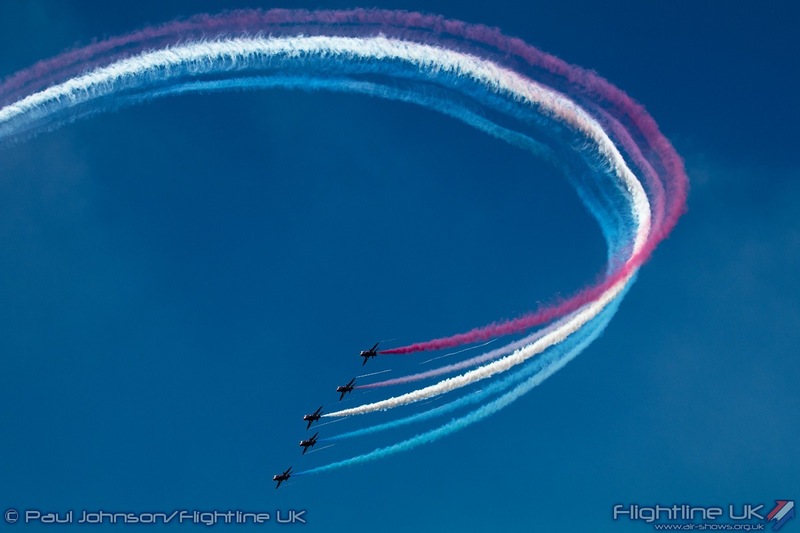 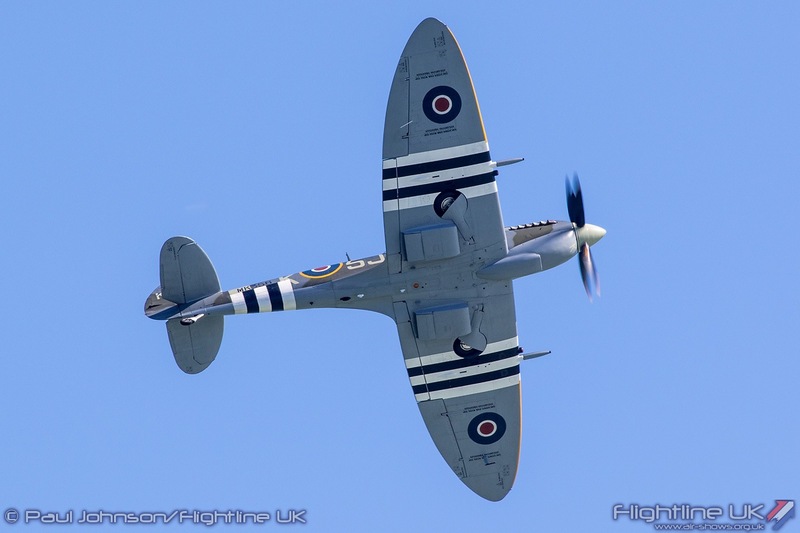 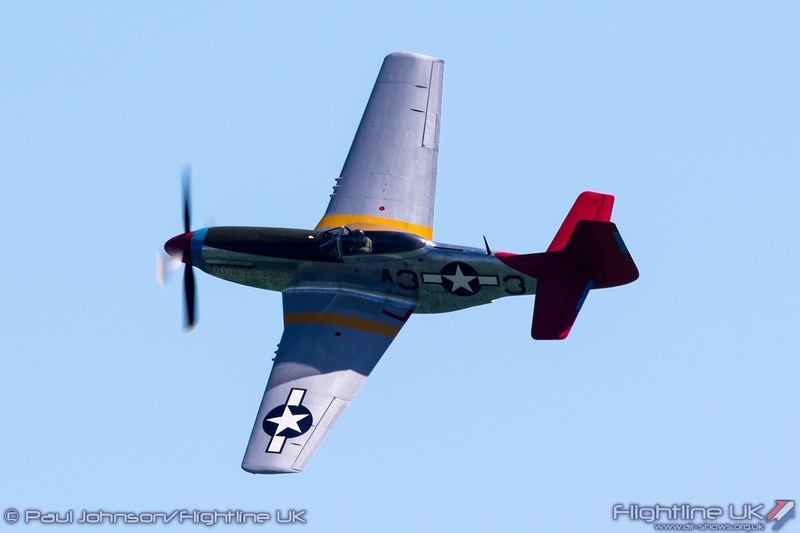 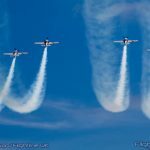 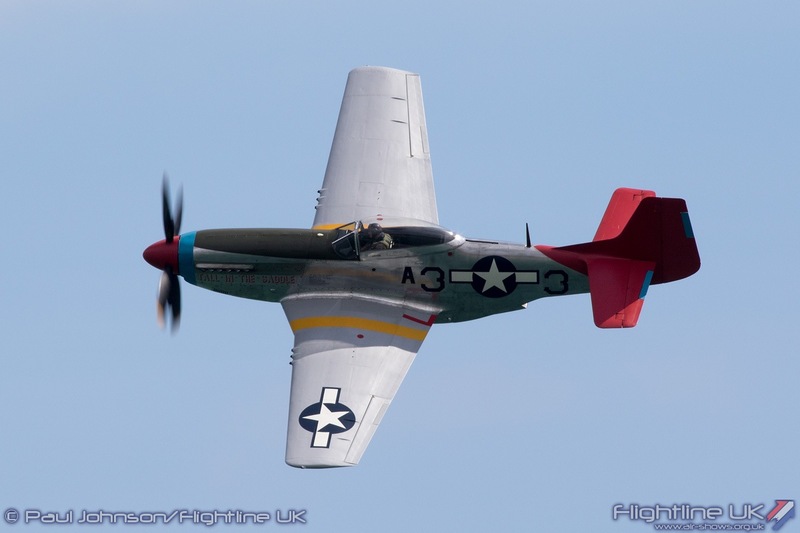 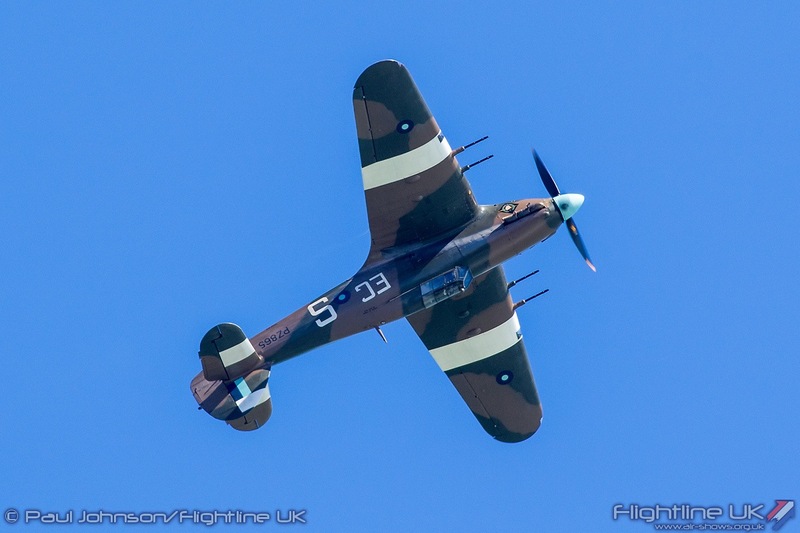 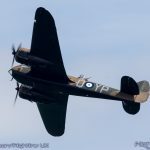 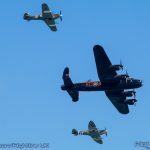 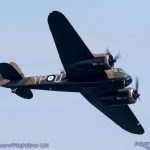 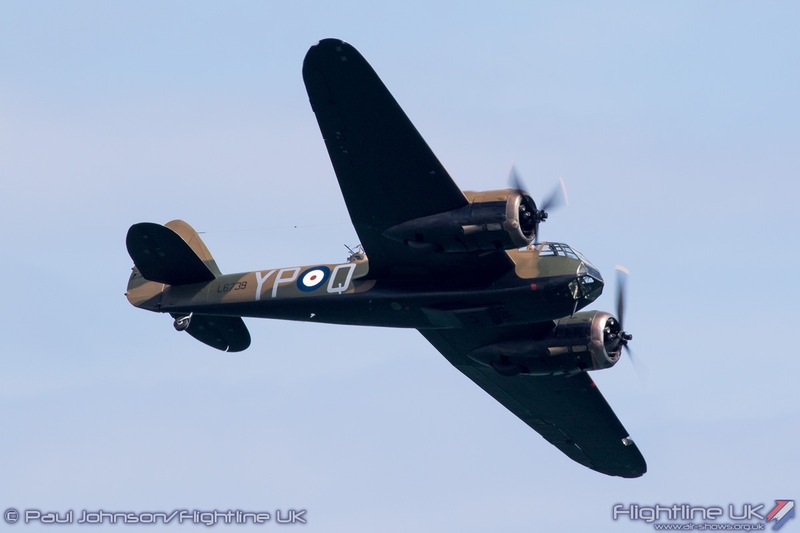 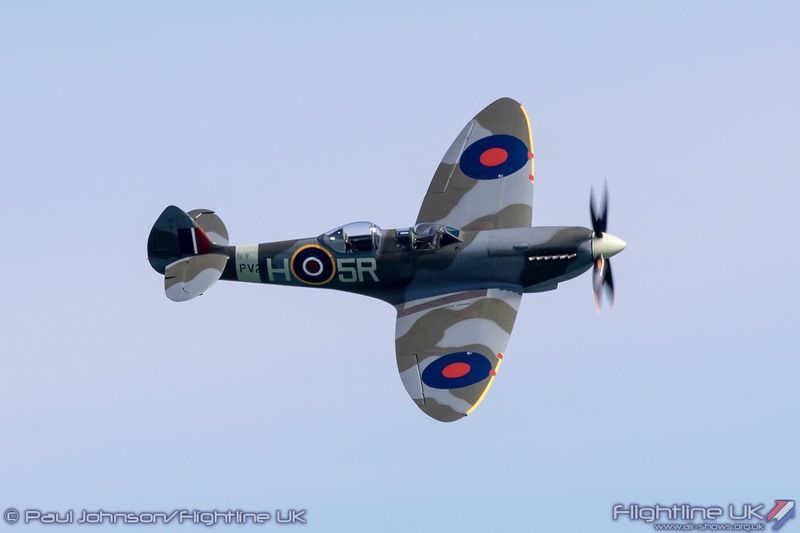 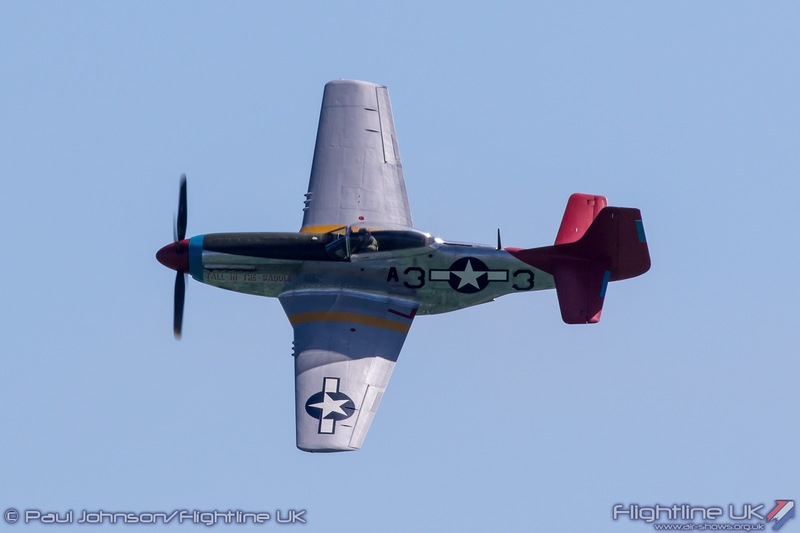 PreviousAIRSHOW NEWS: Countdown to Wings & Wheels Begins!